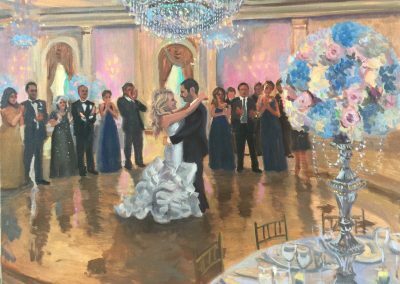 Emily and Brian’s First Dance. 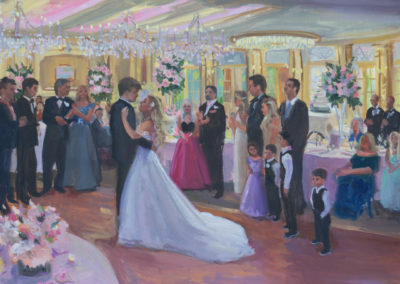 10 year anniversary party with the kids! 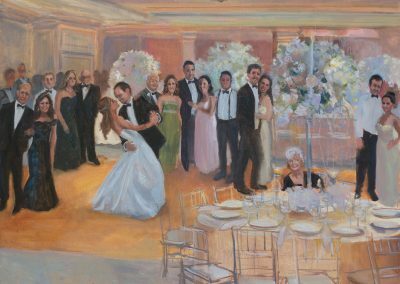 The Guest of Honor Arrives with her brother, as her friends celebrate them and parents look on. 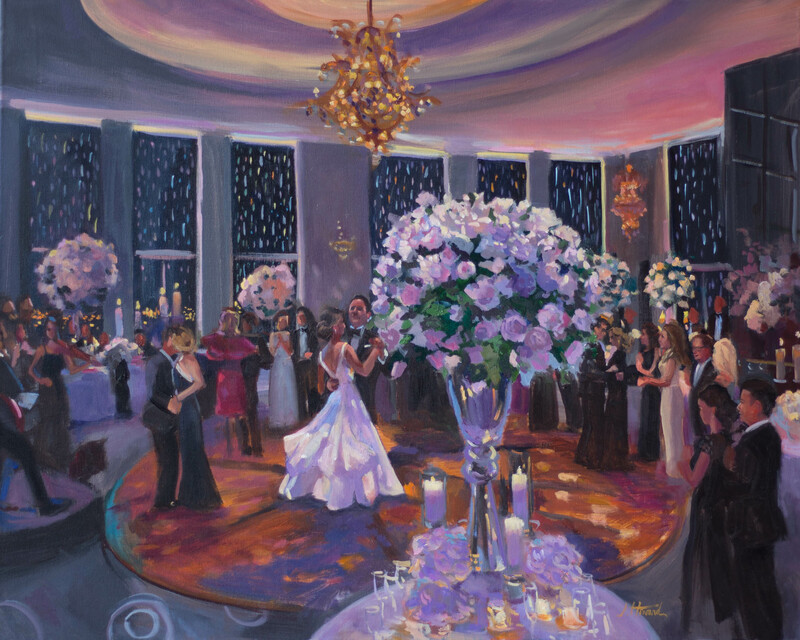 Filled with light and love!!! 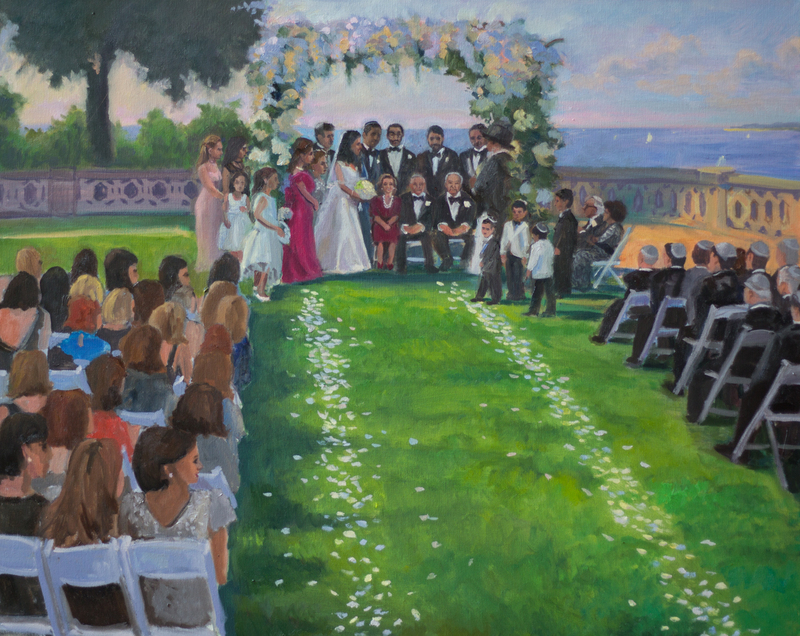 with this view!! 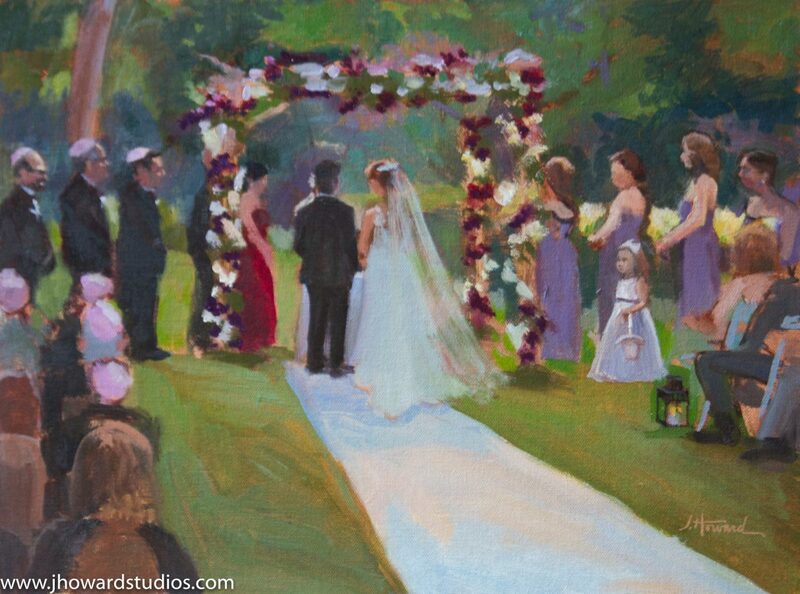 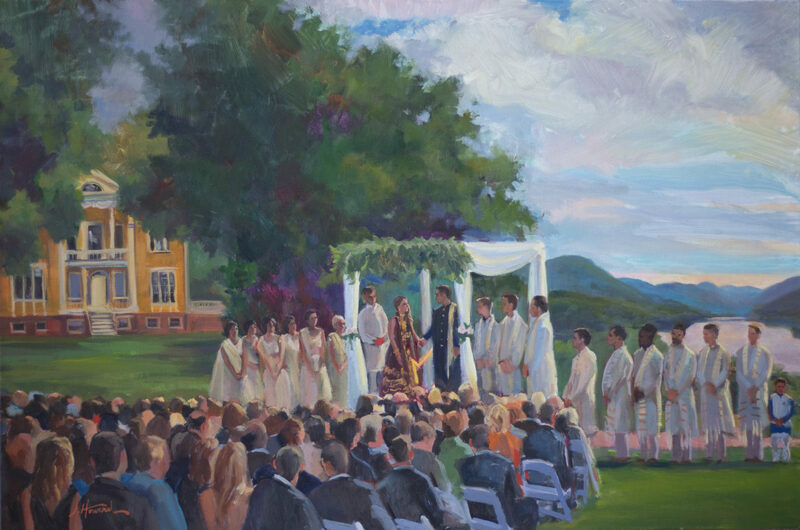 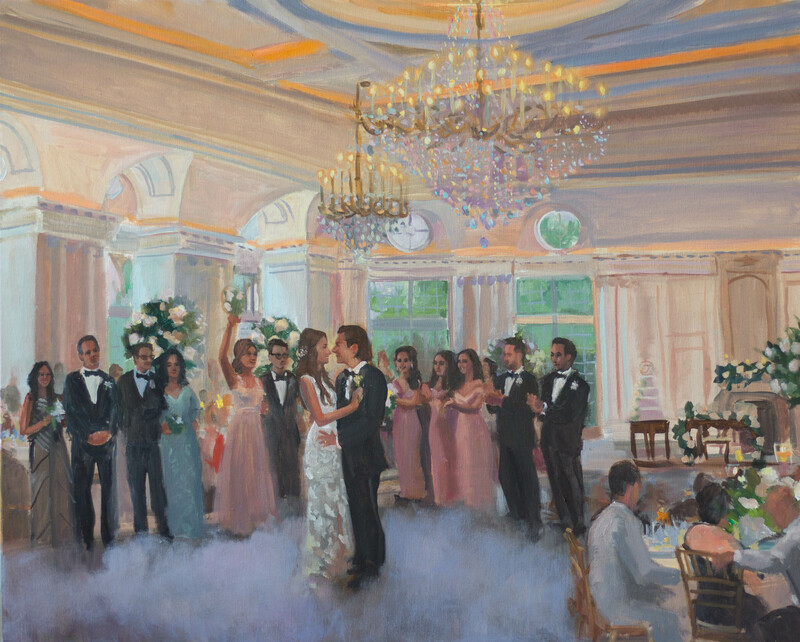 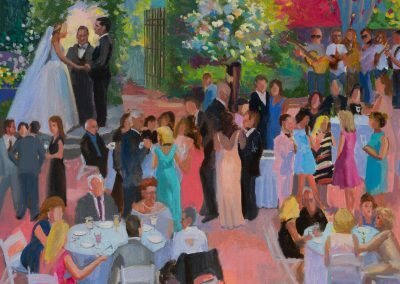 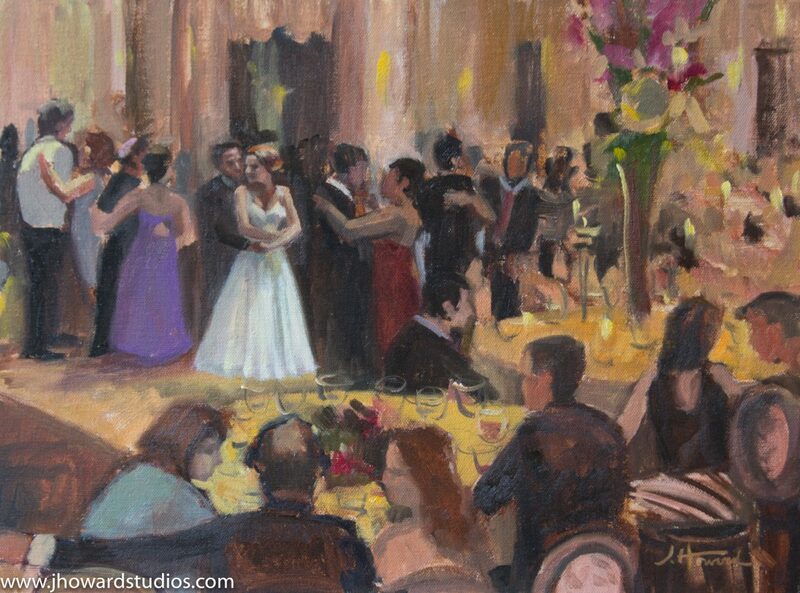 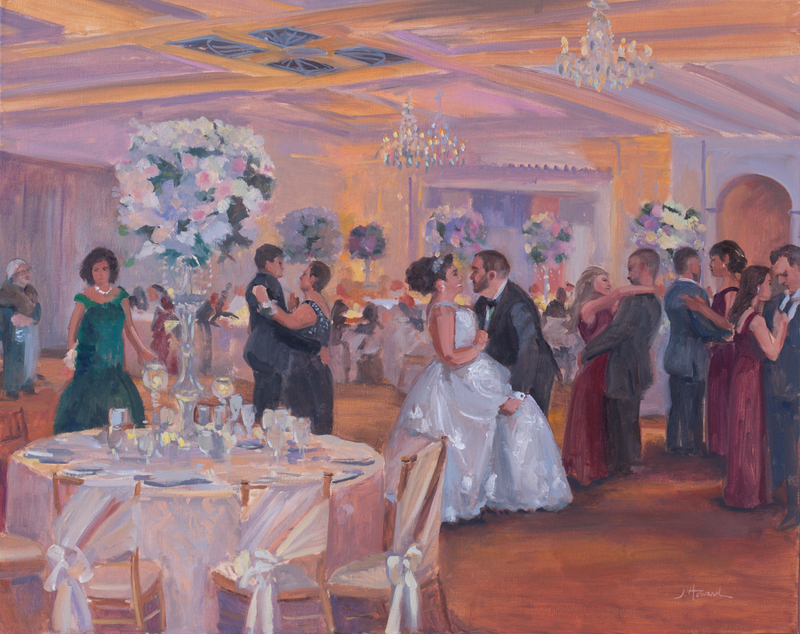 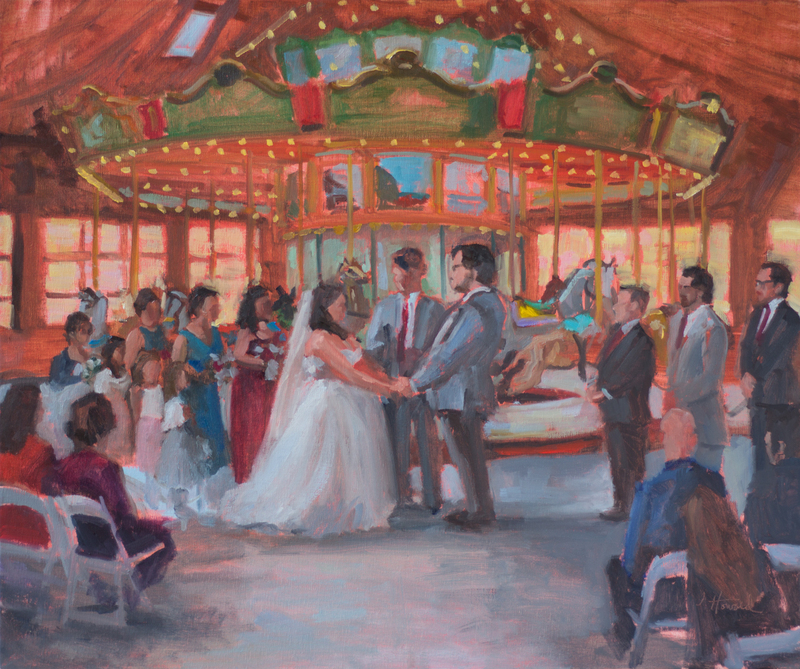 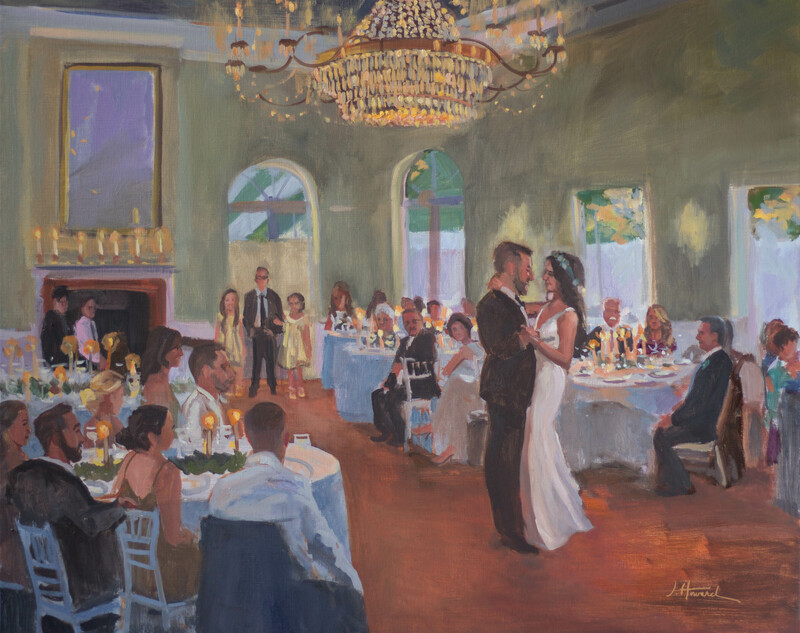 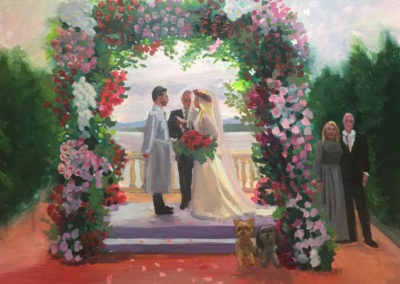 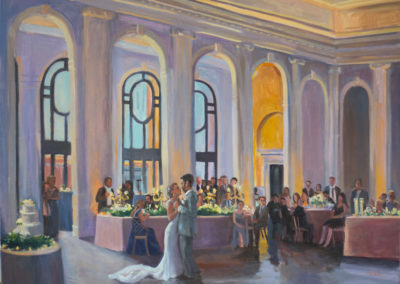 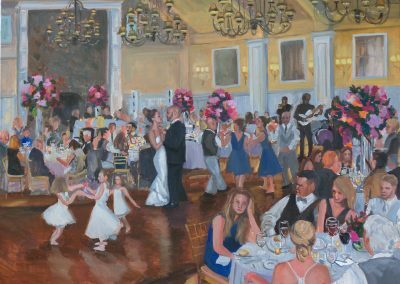 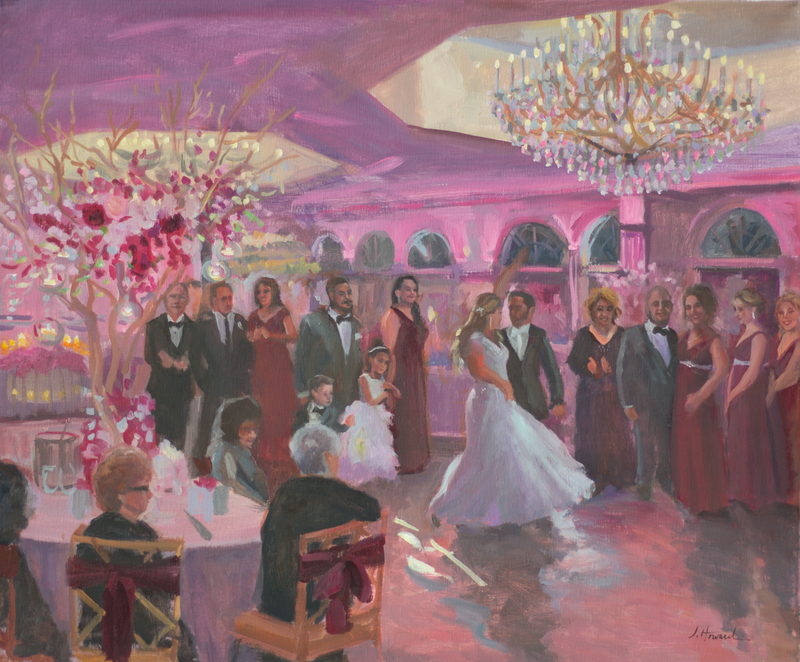 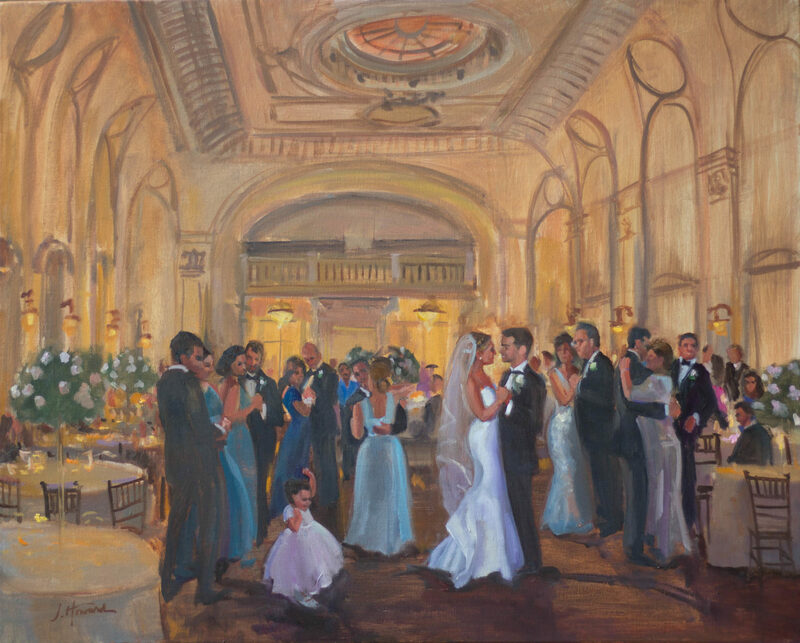 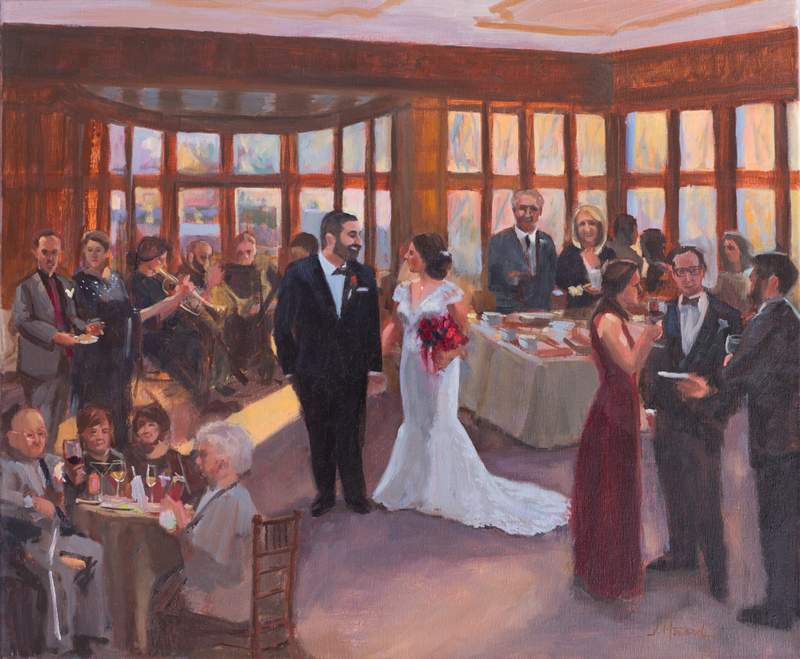 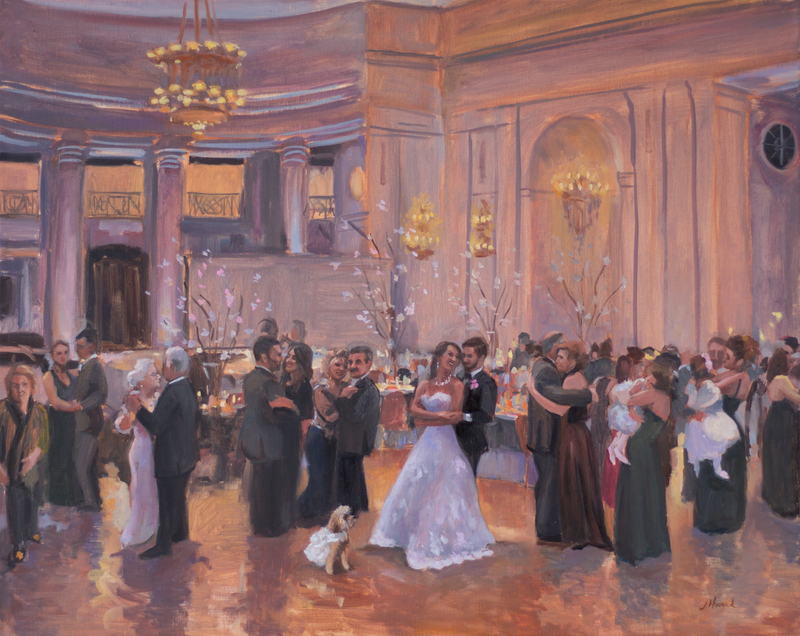 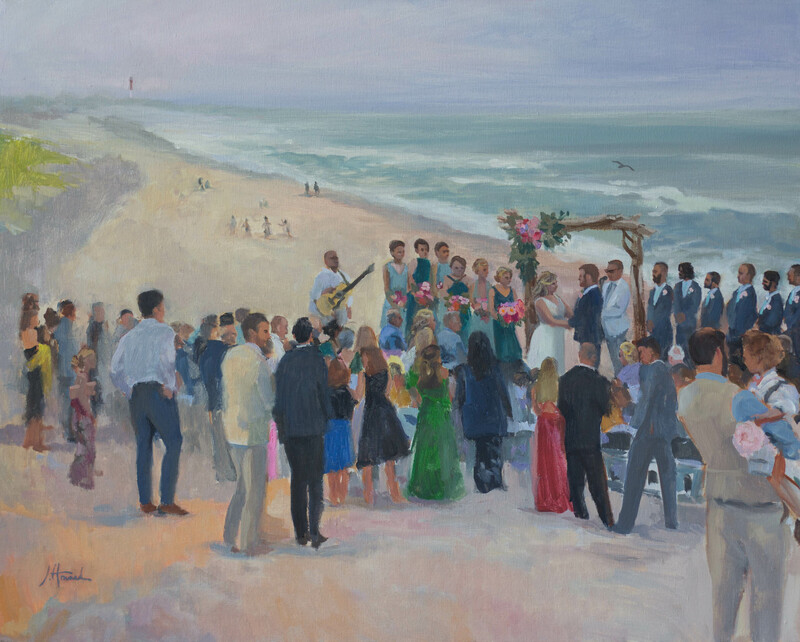 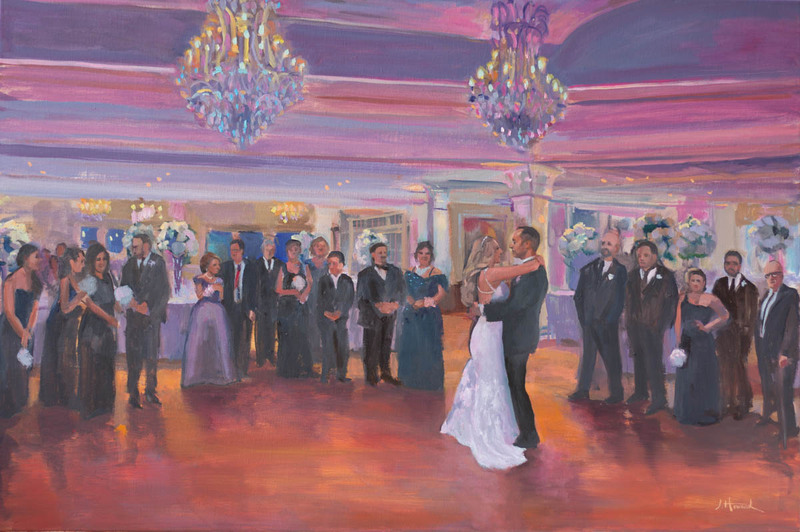 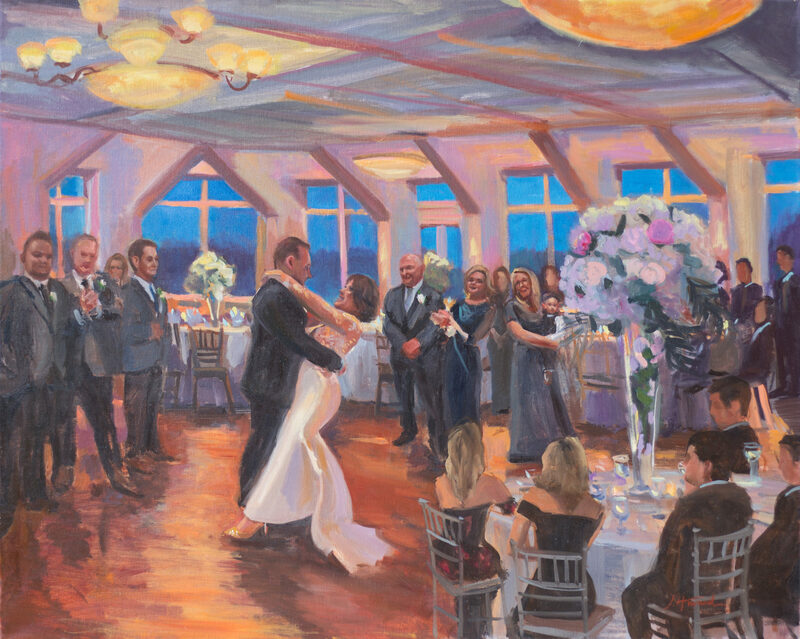 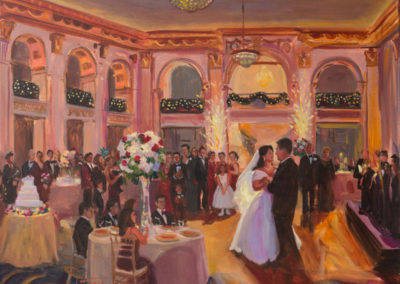 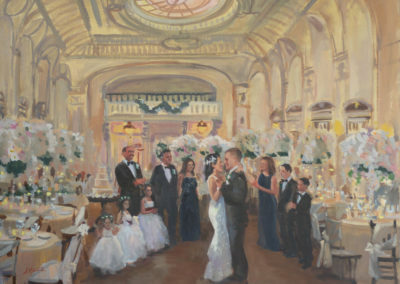 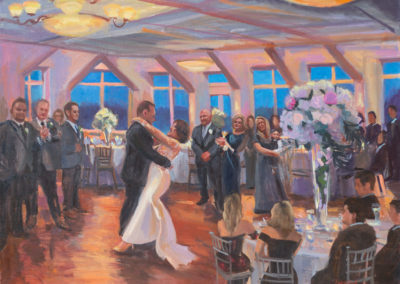 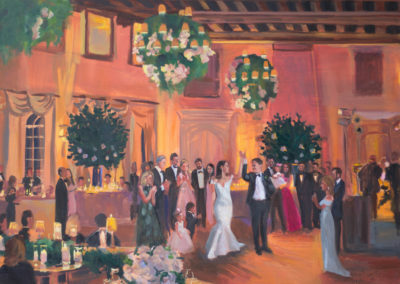 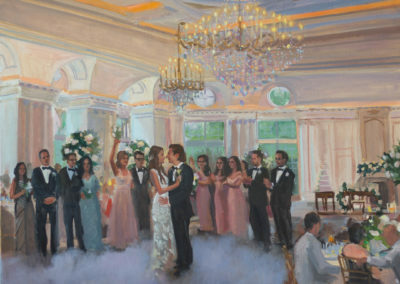 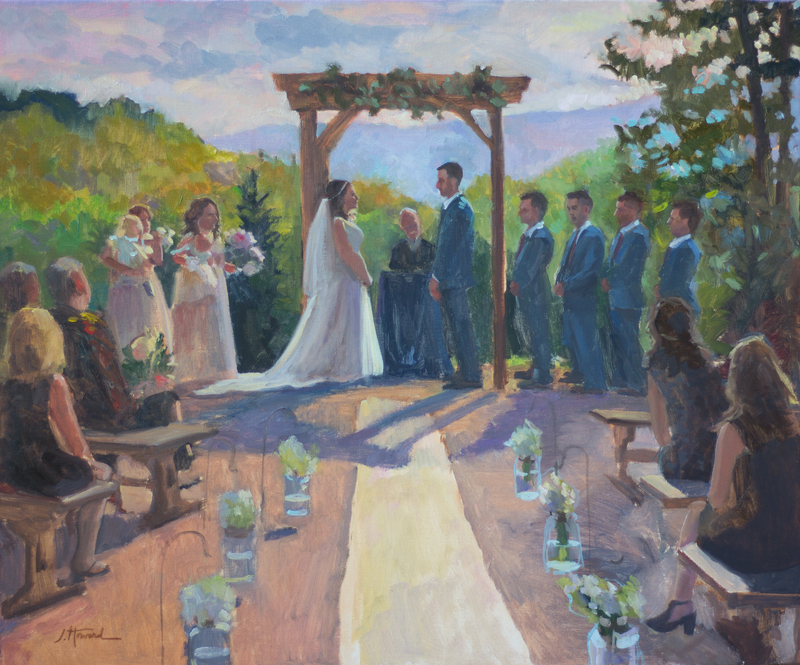 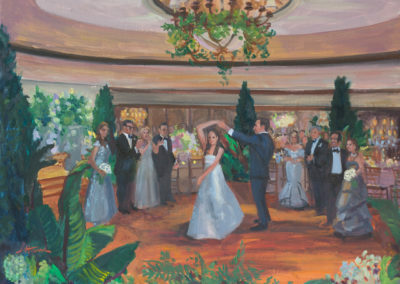 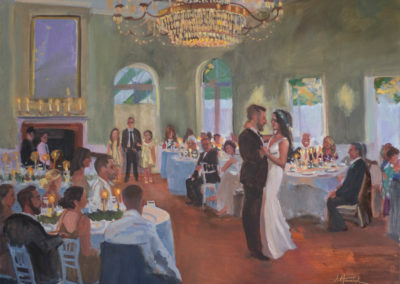 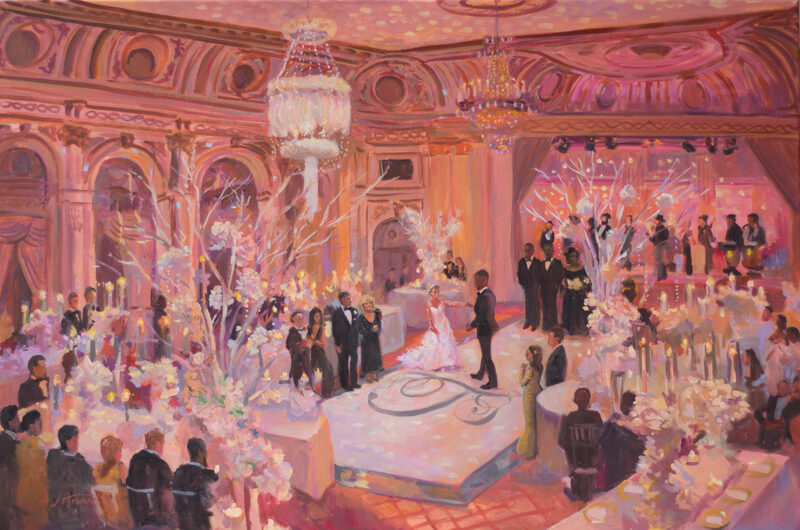 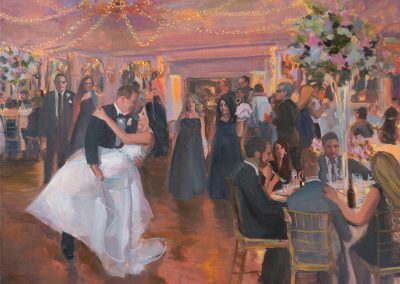 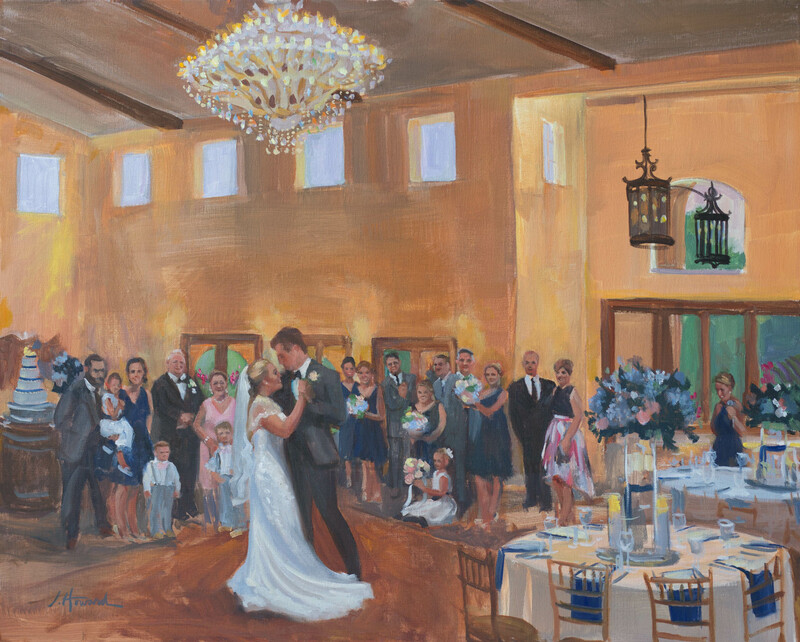 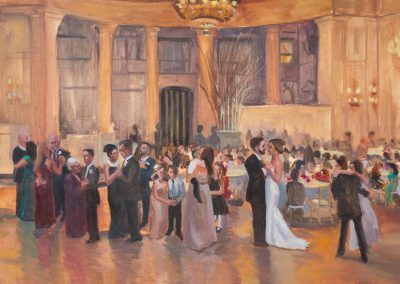 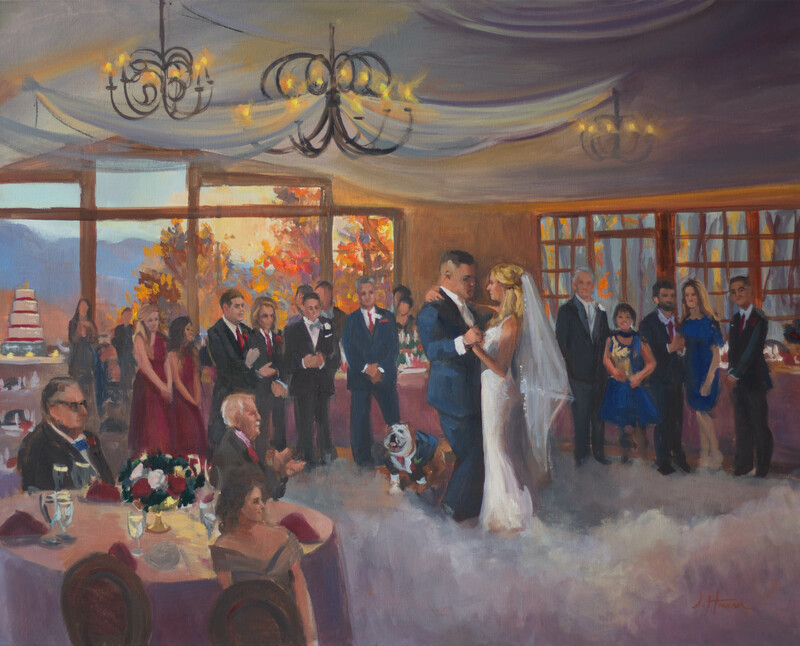 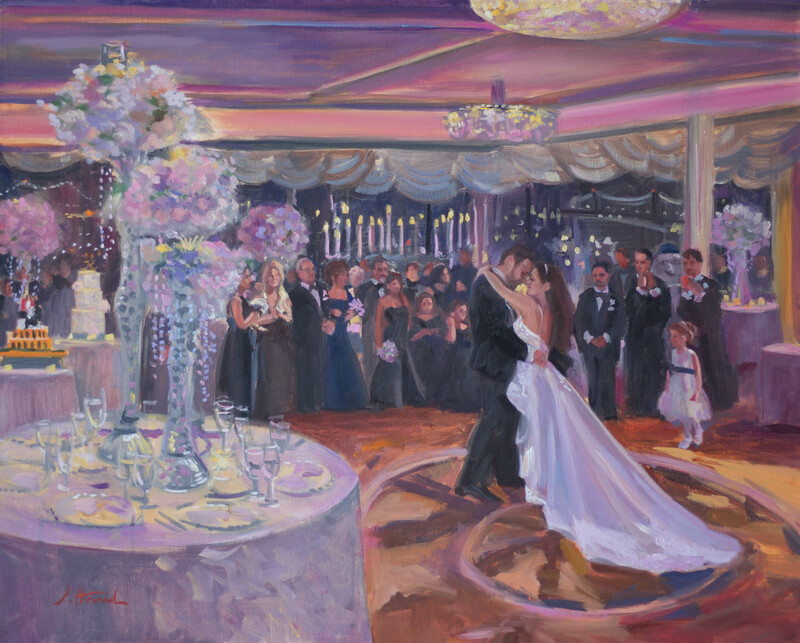 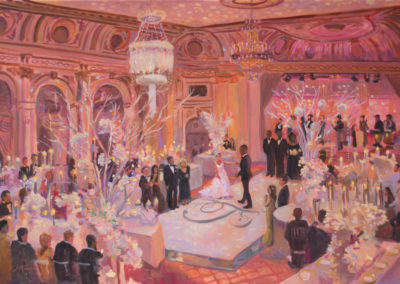 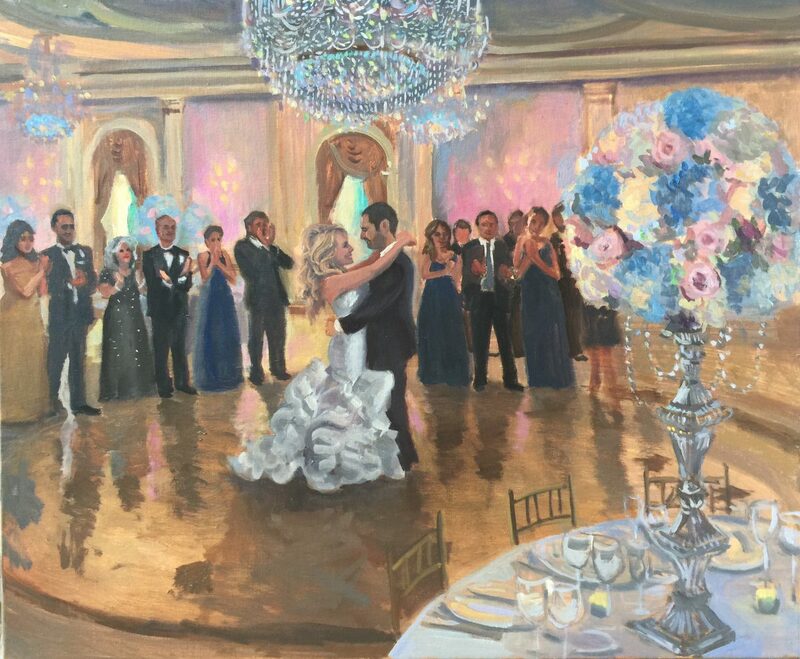 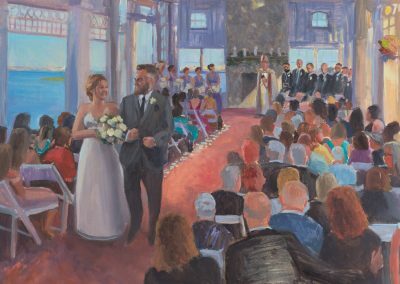 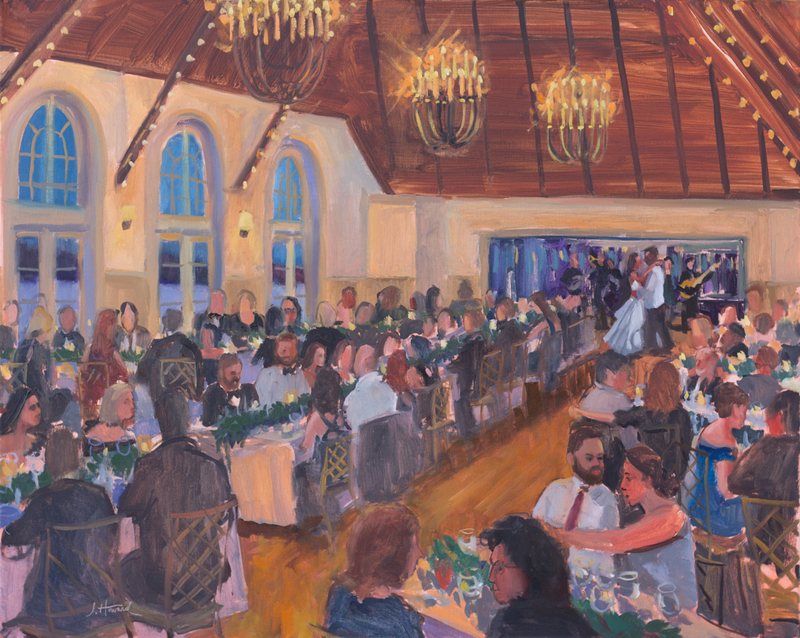 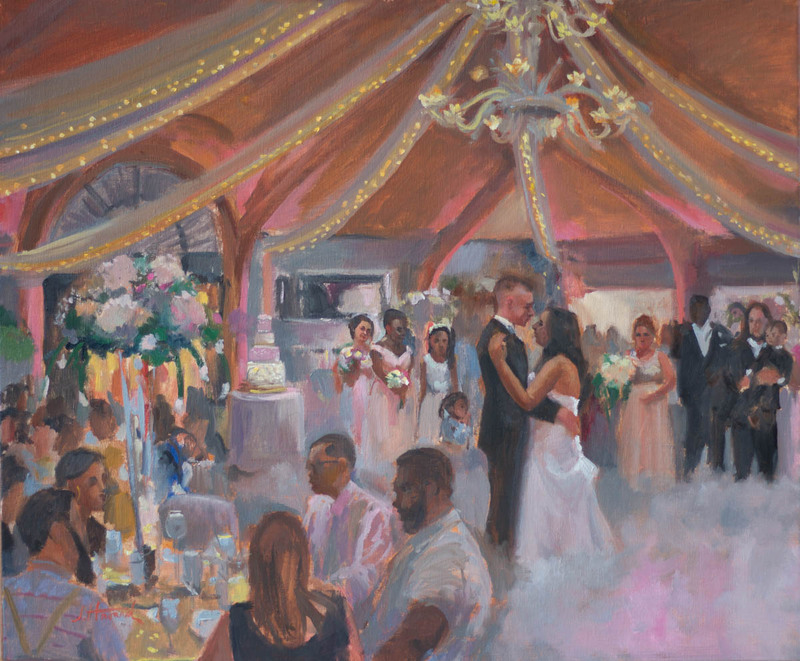 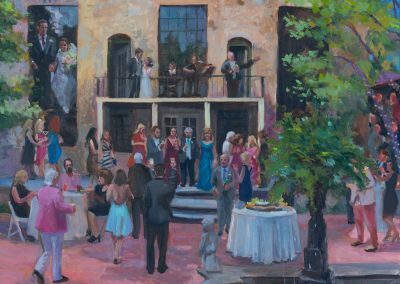 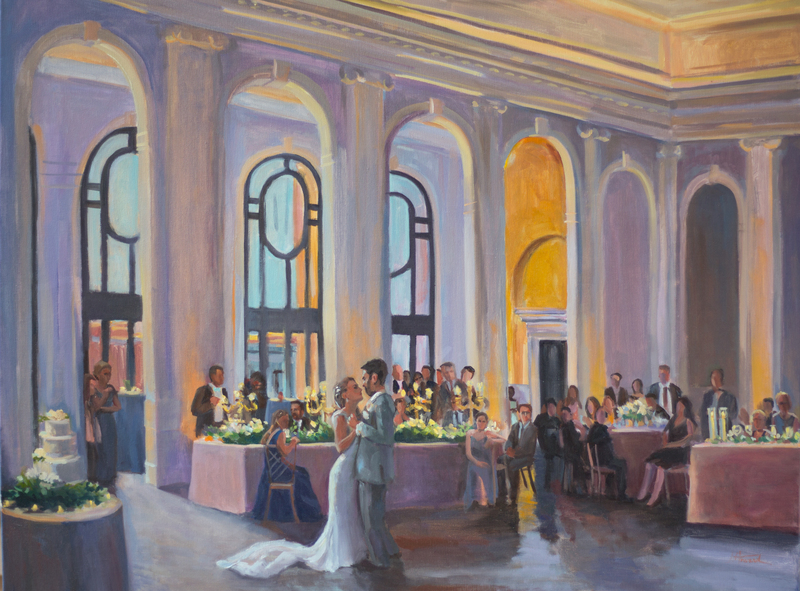 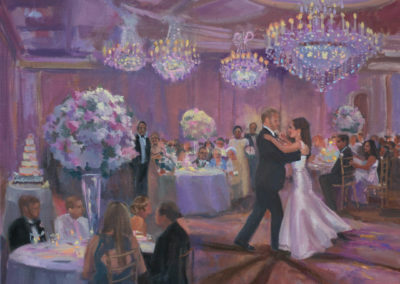 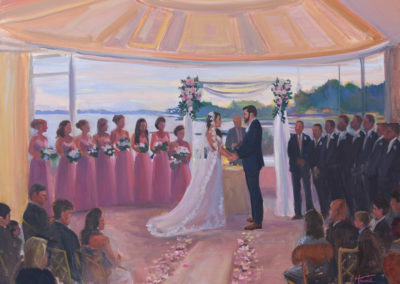 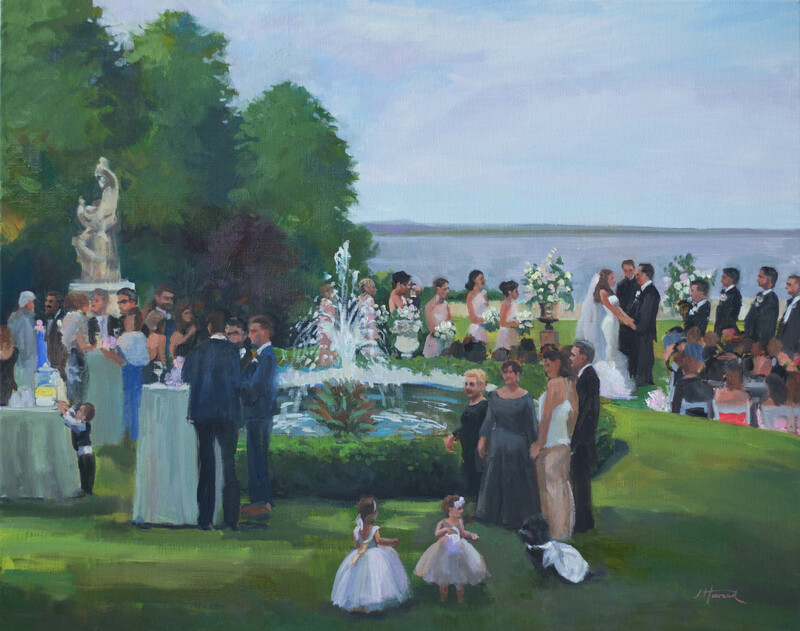 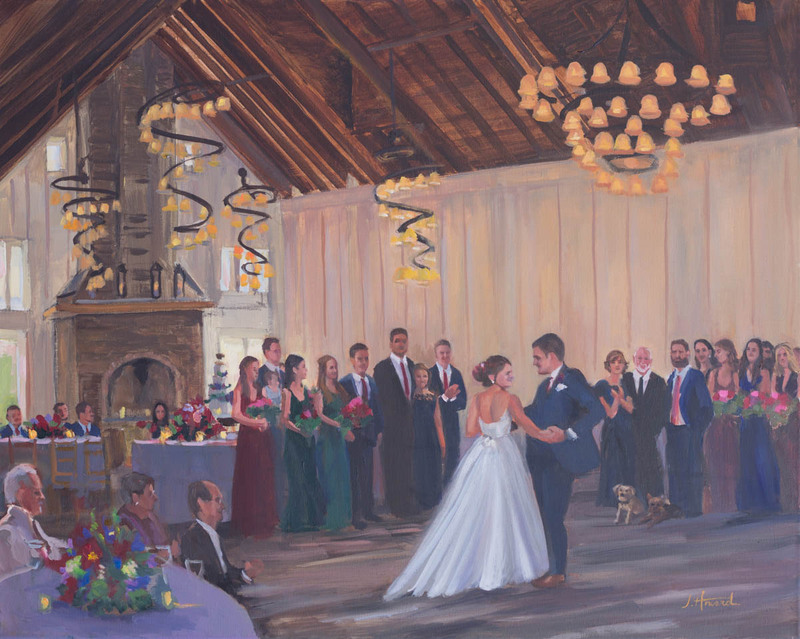 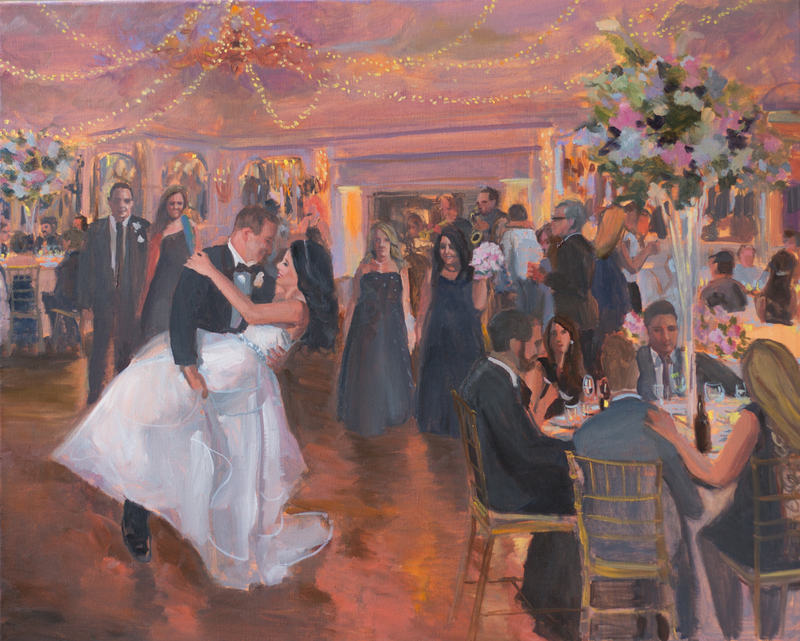 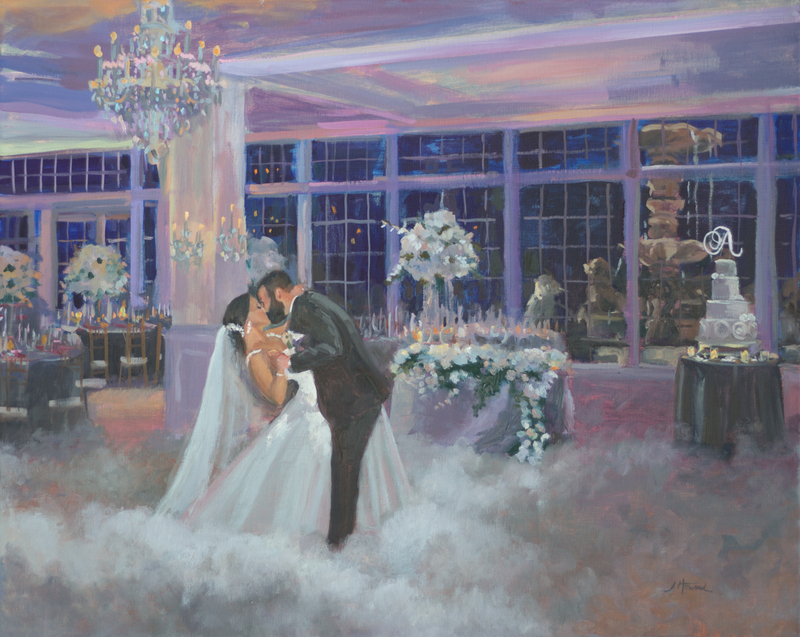 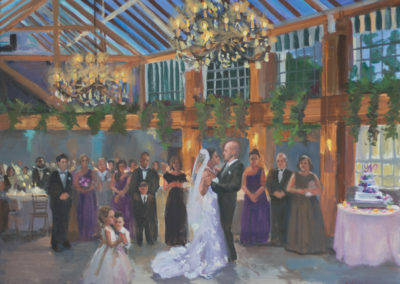 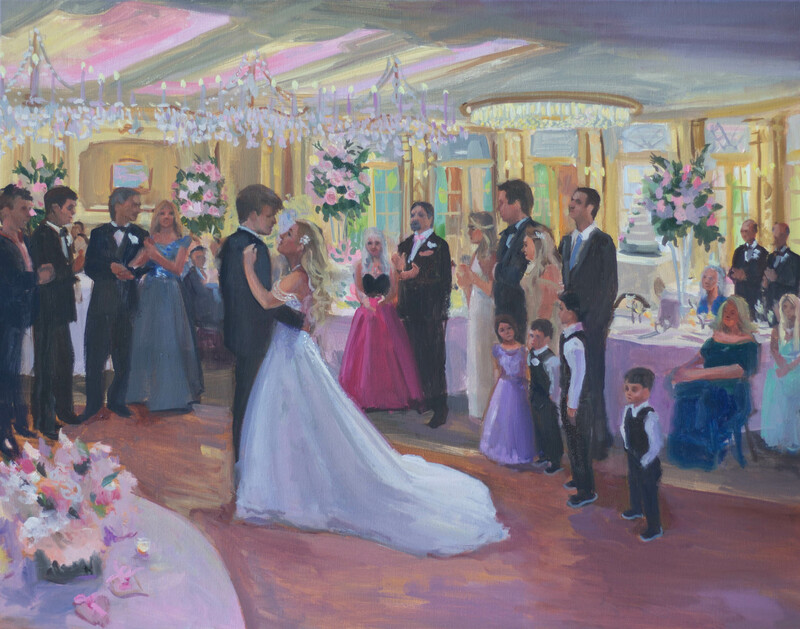 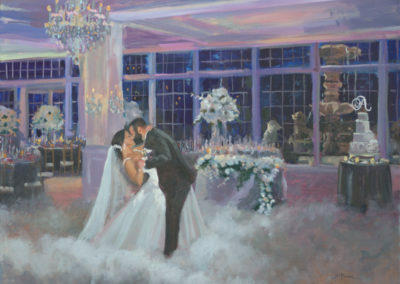 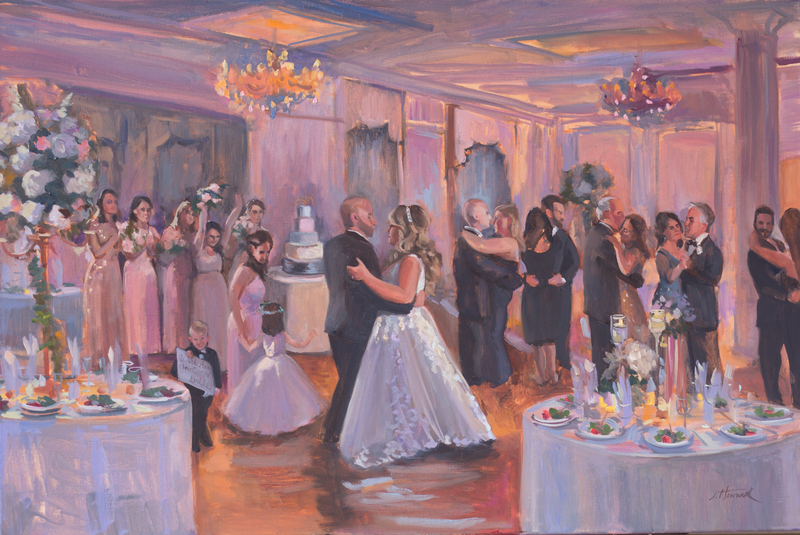 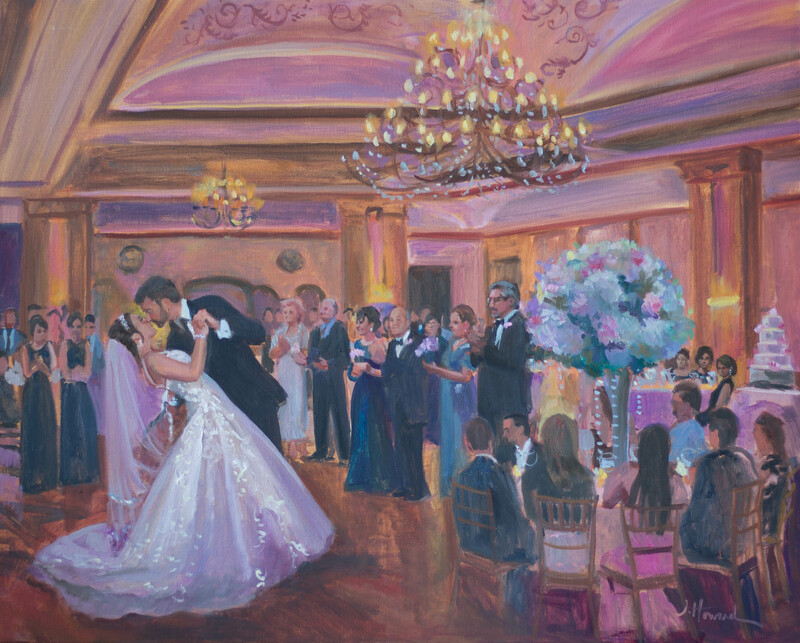 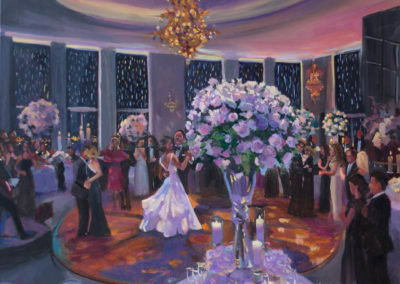 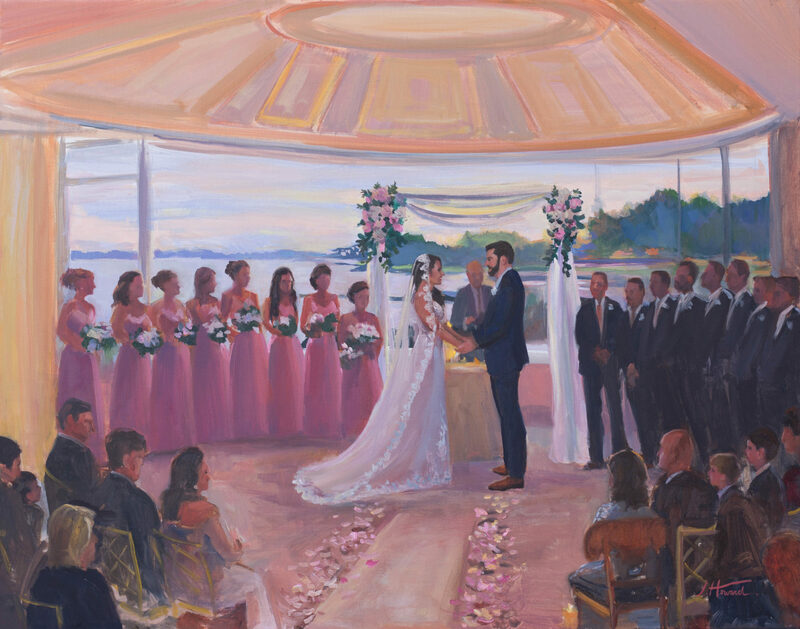 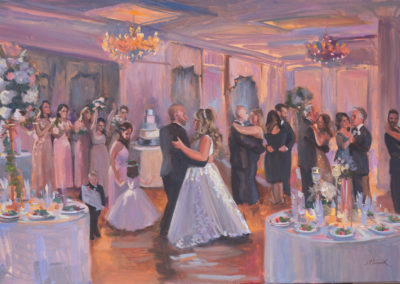 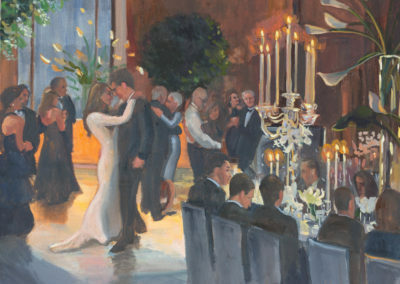 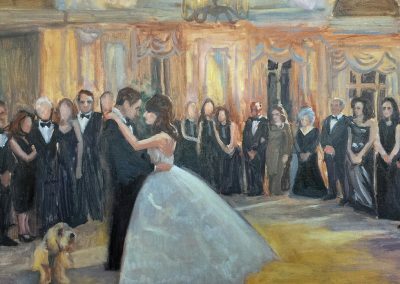 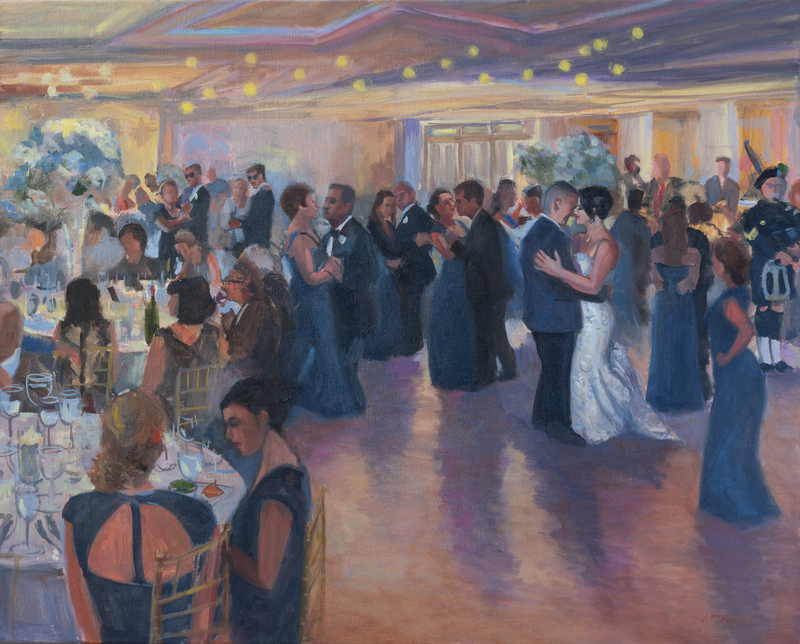 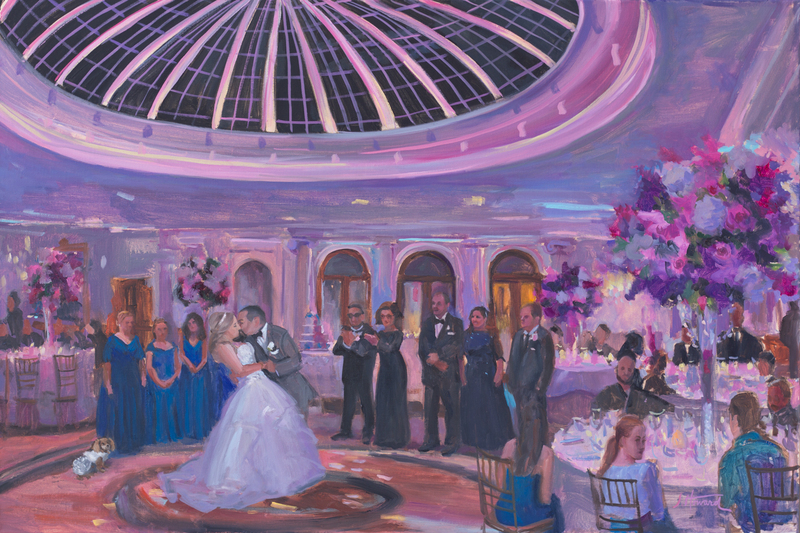 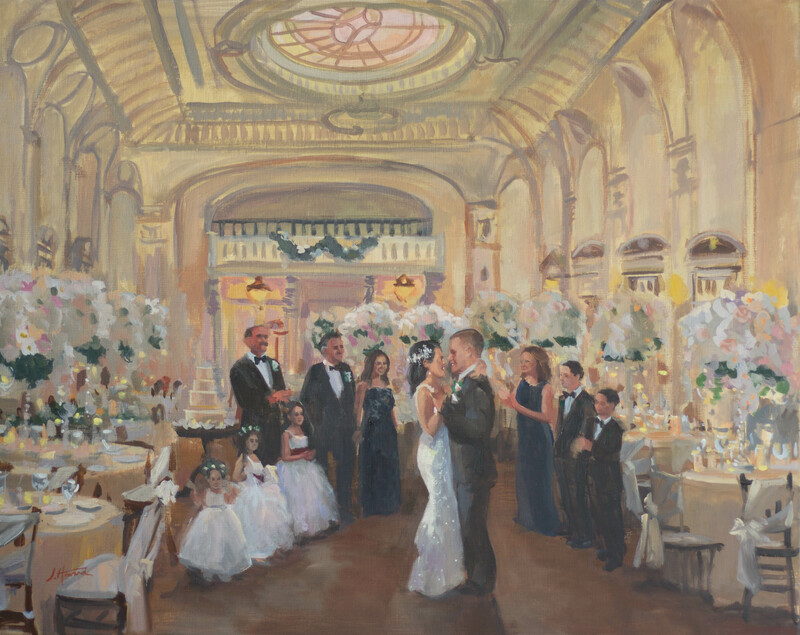 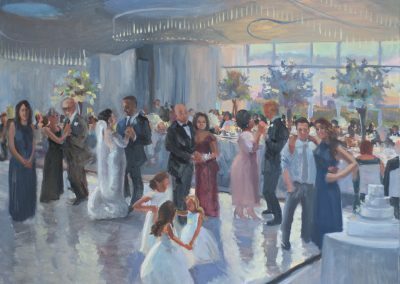 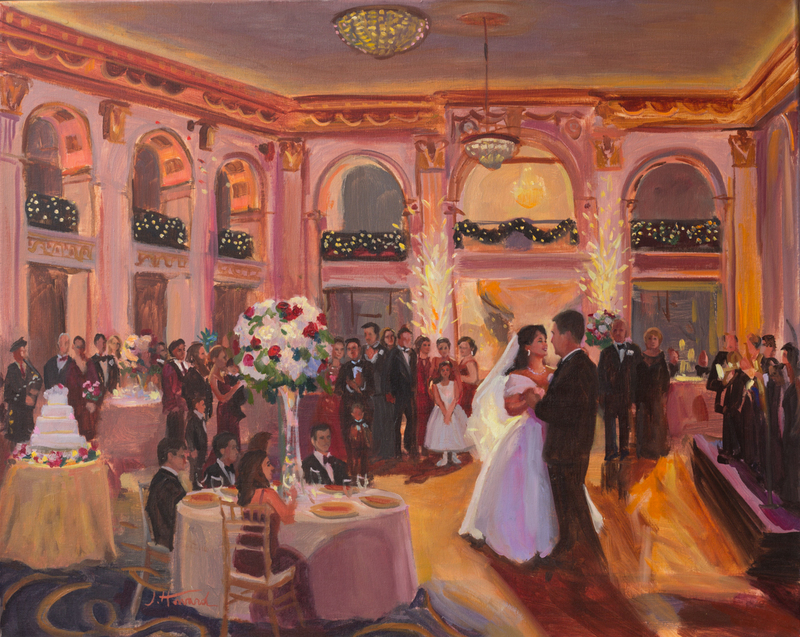 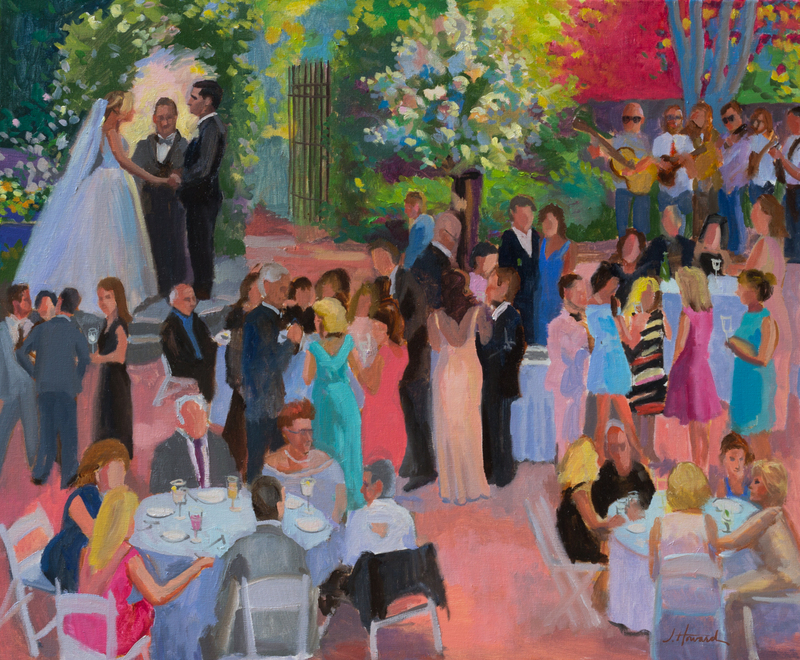 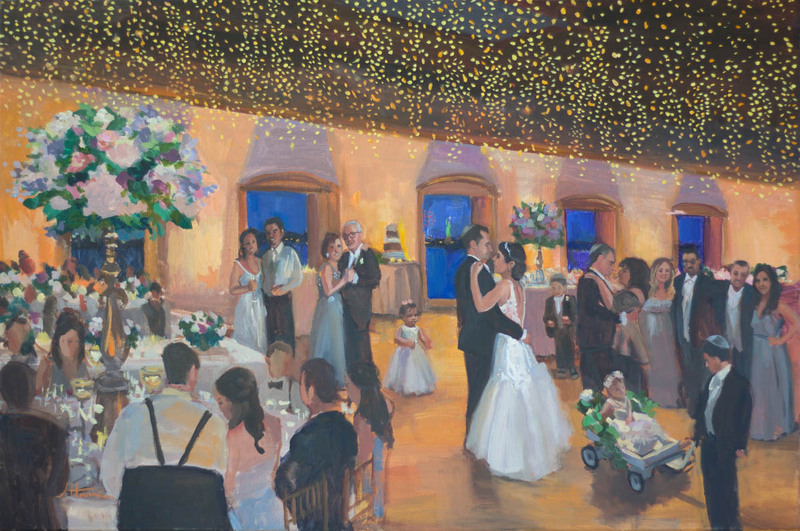 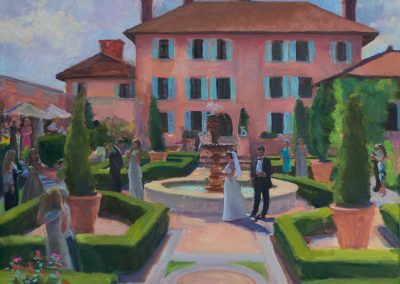 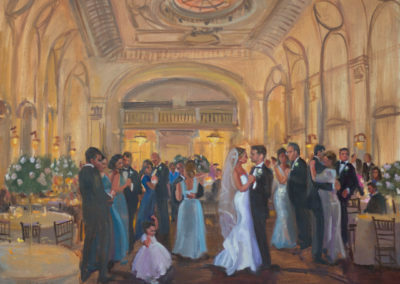 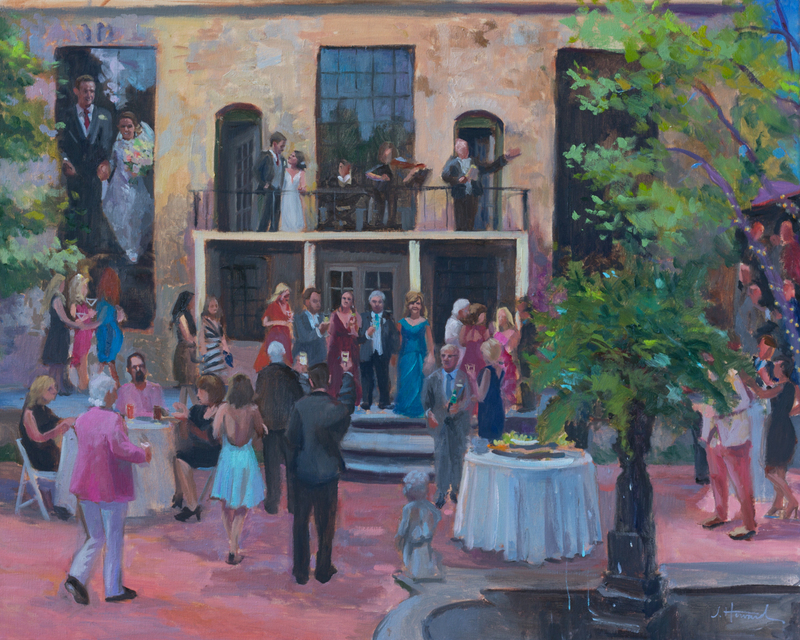 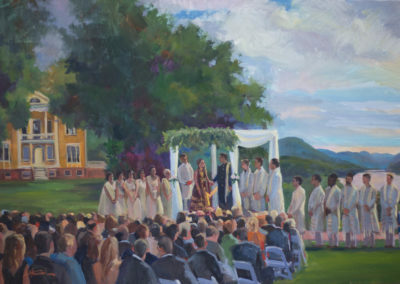 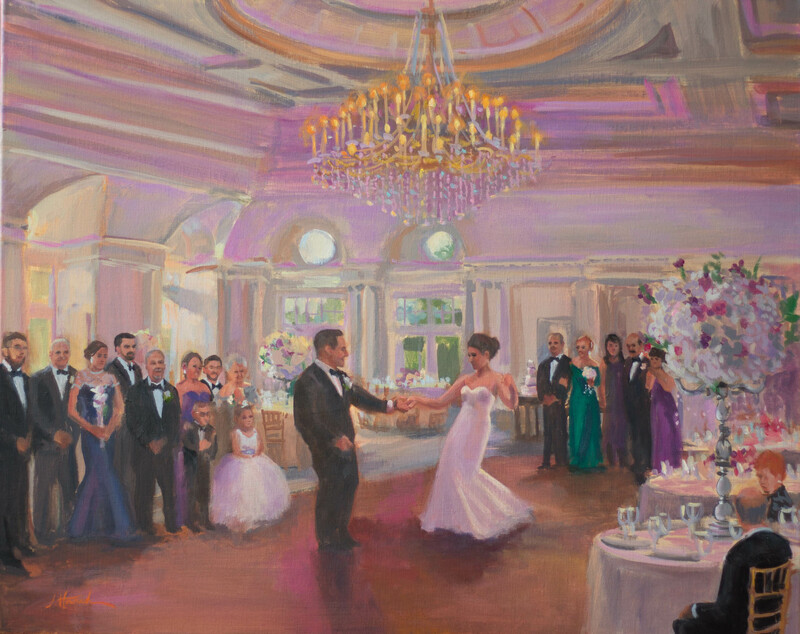 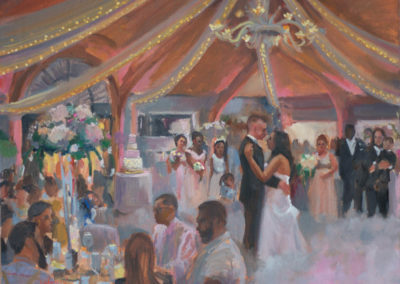 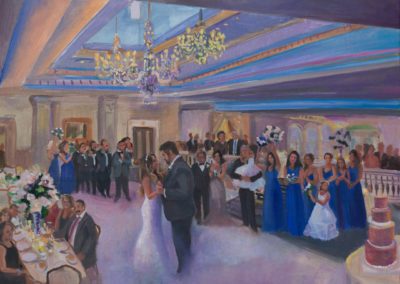 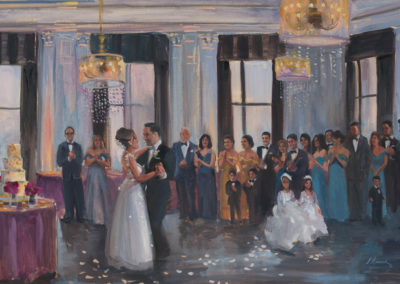 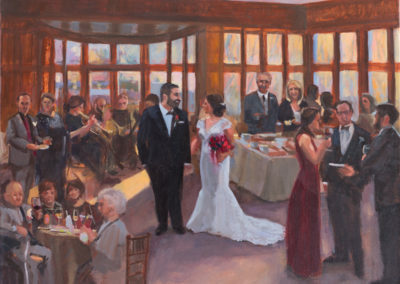 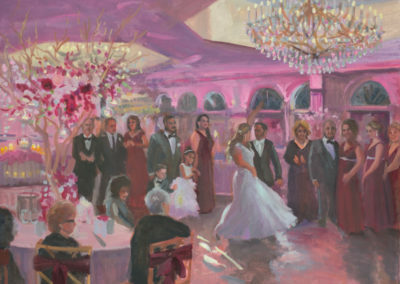 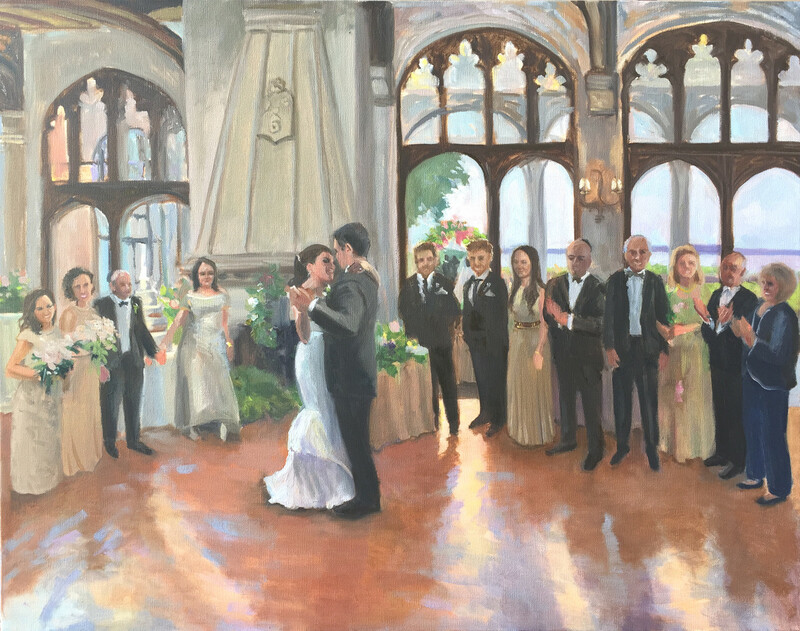 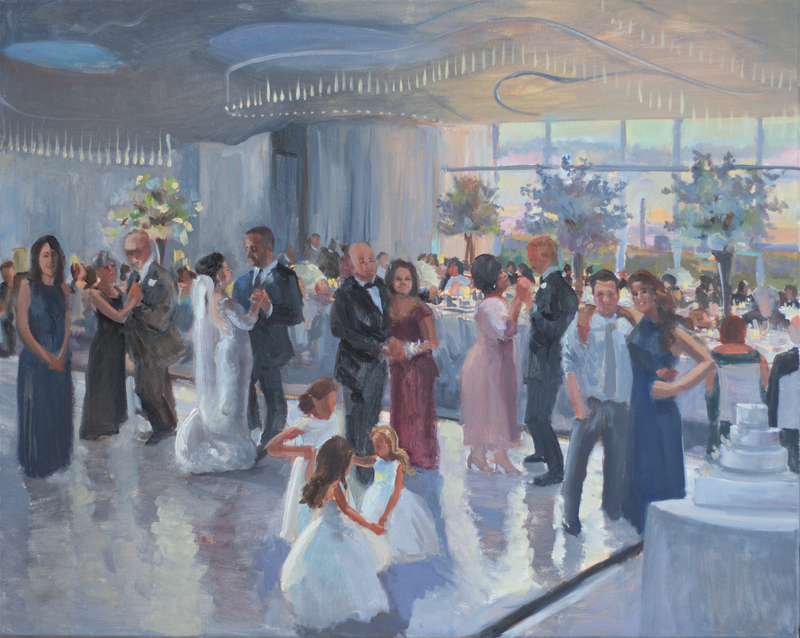 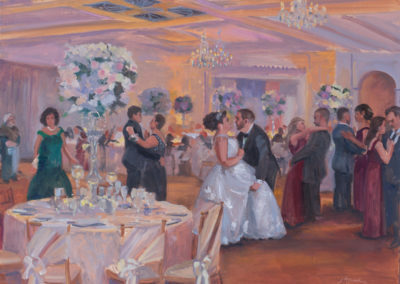 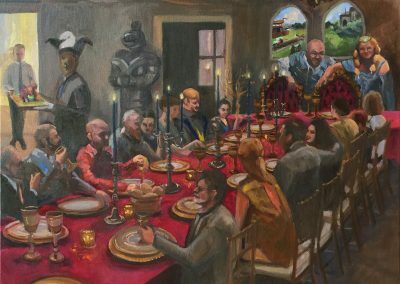 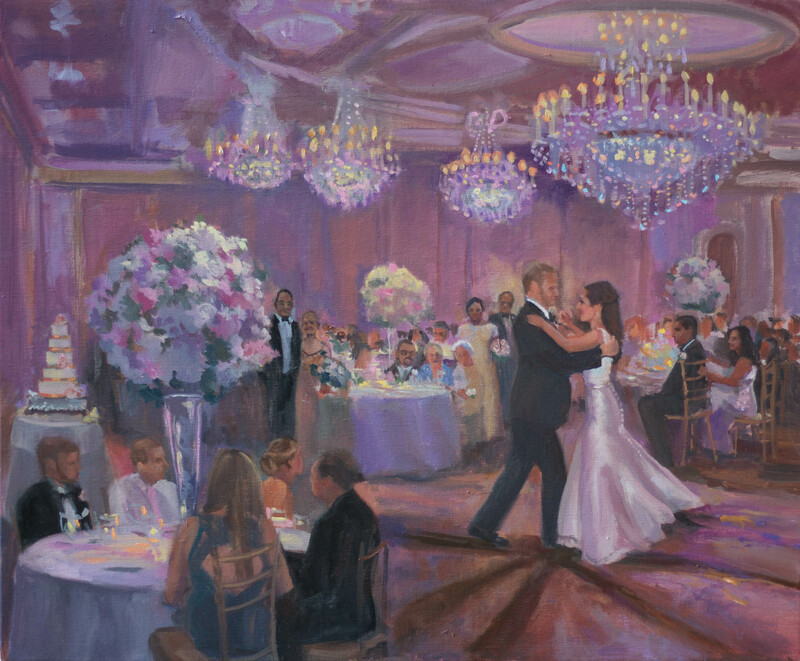 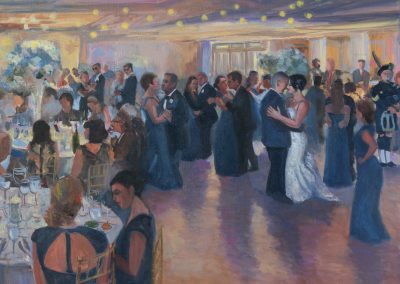 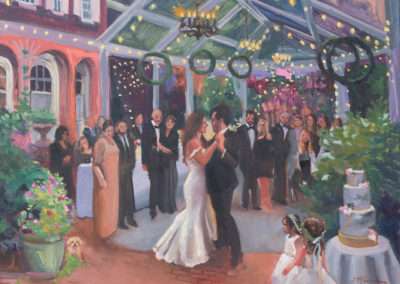 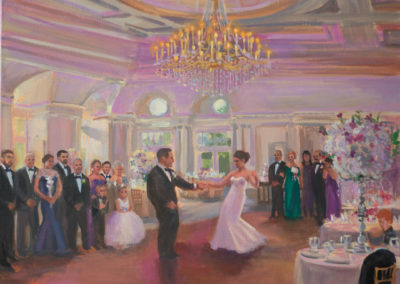 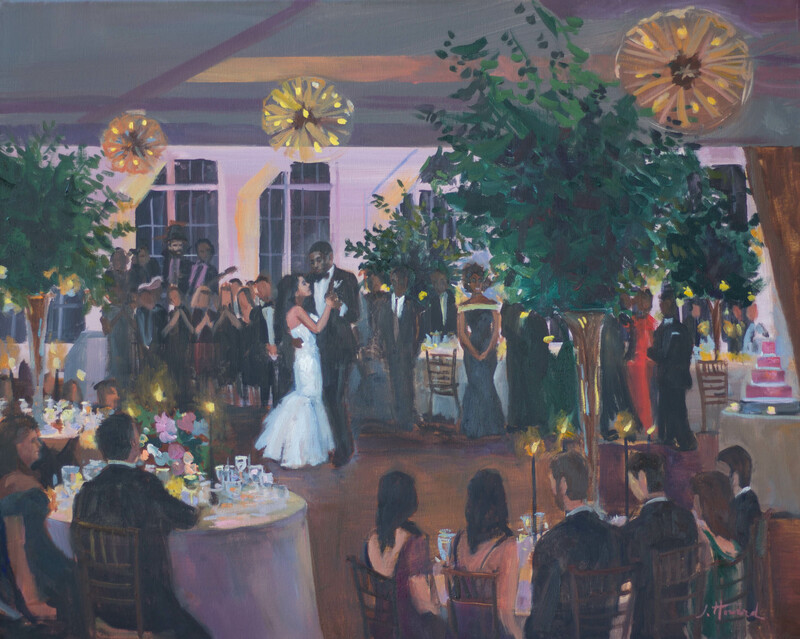 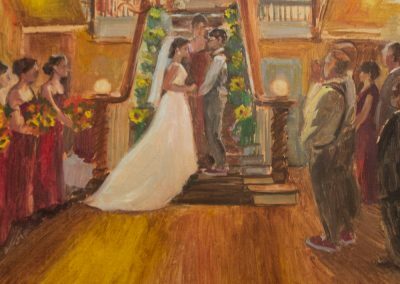 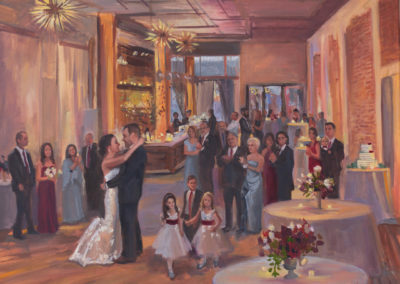 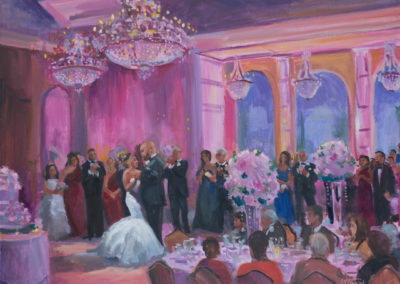 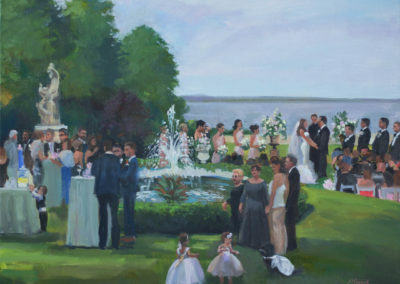 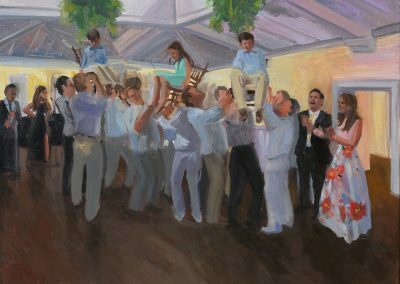 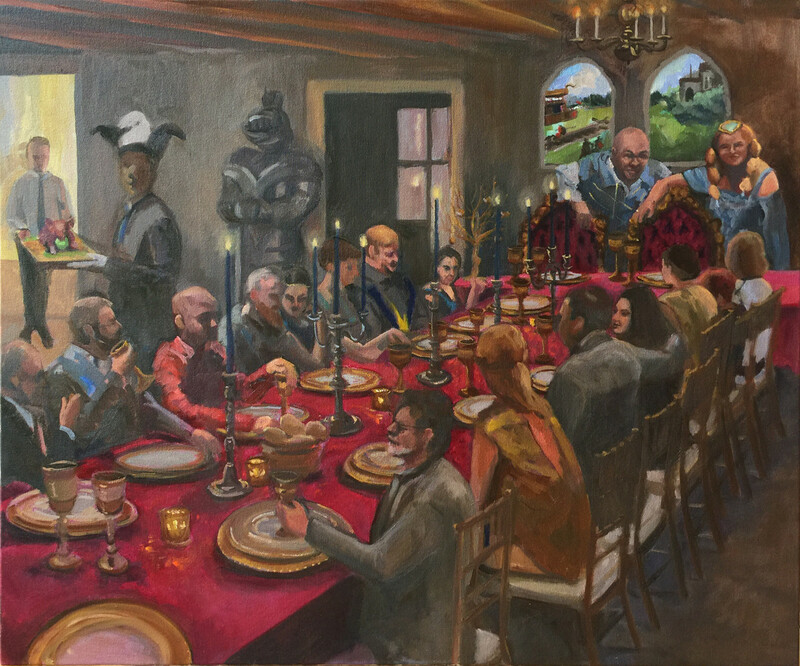 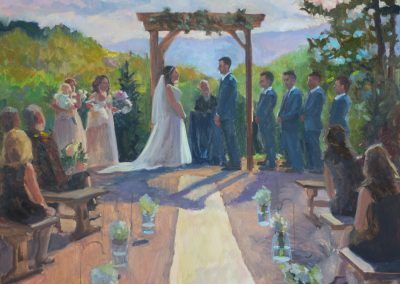 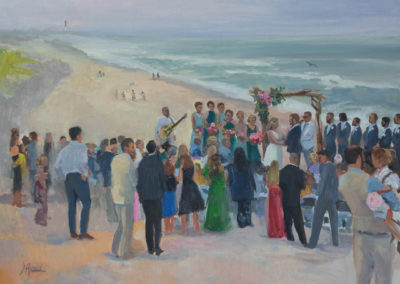 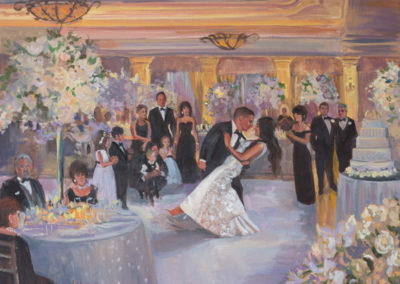 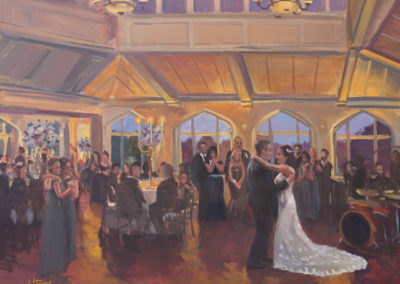 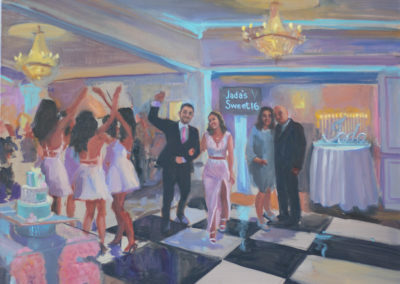 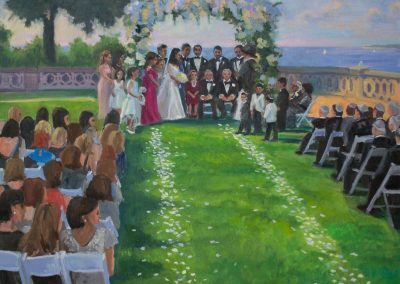 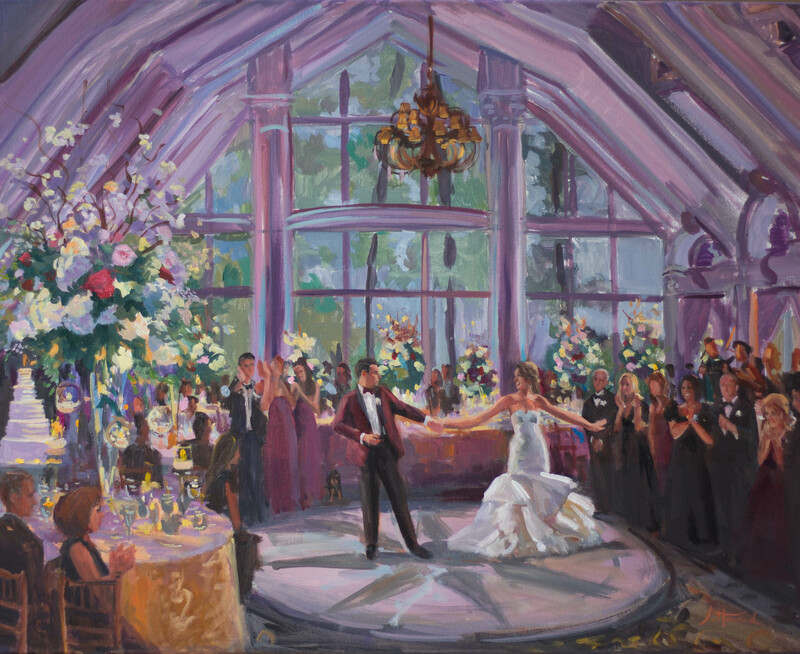 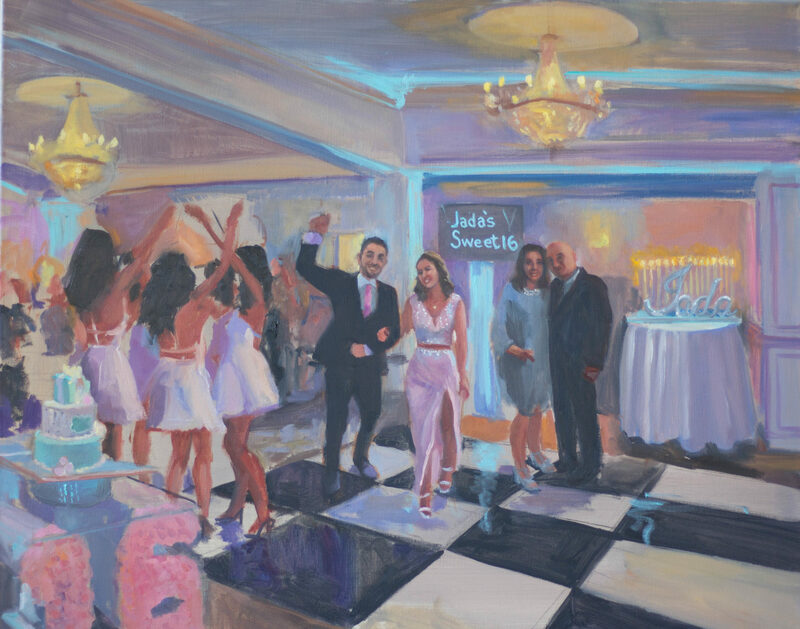 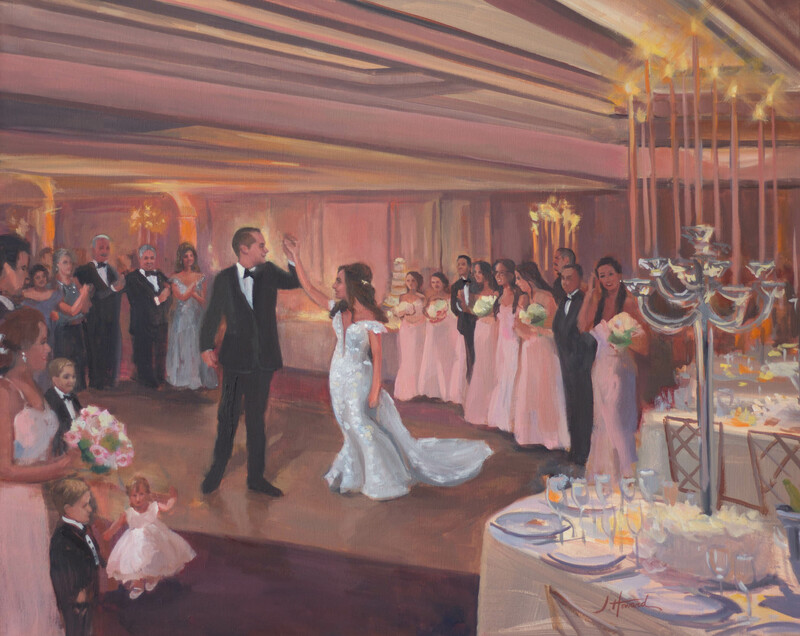 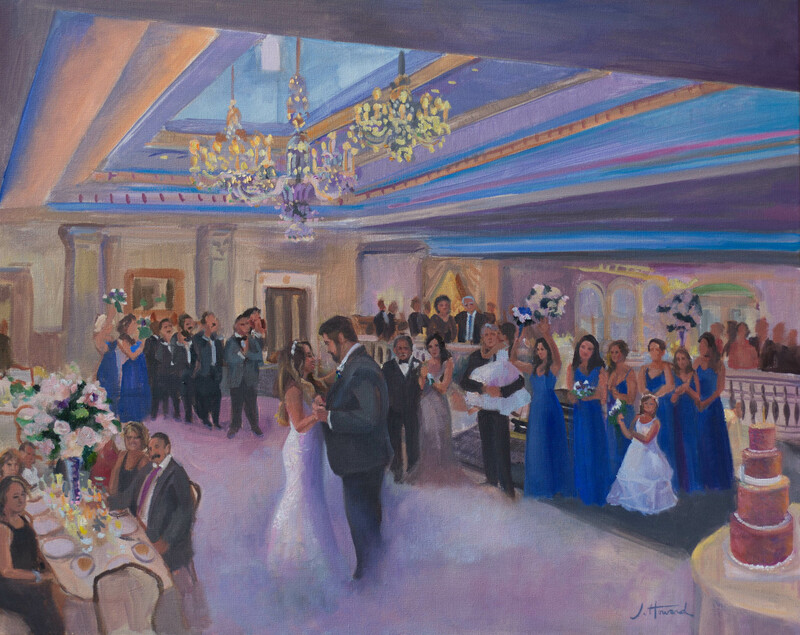 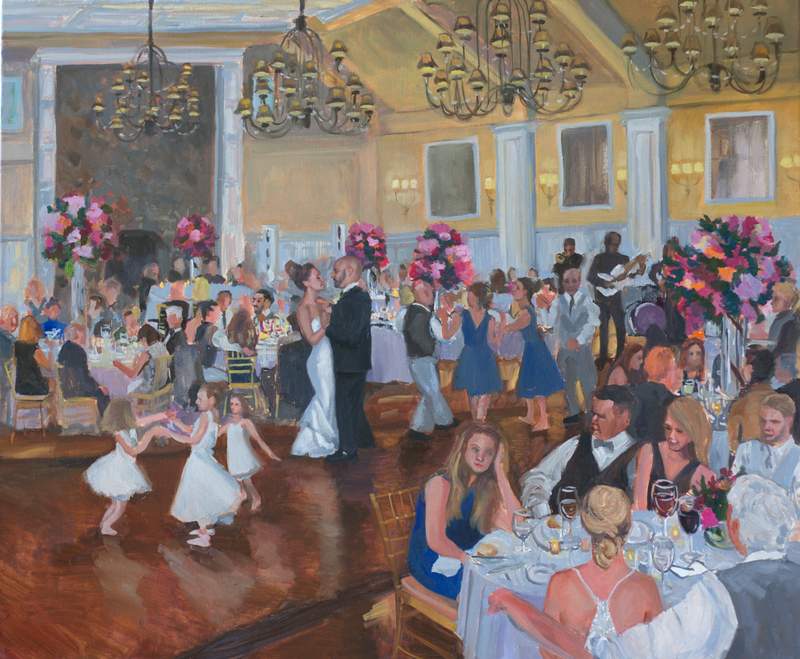 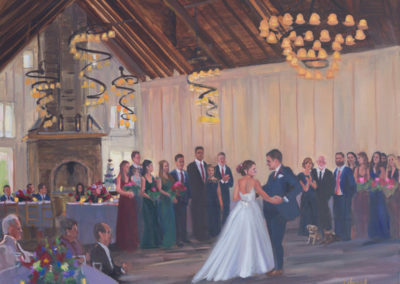 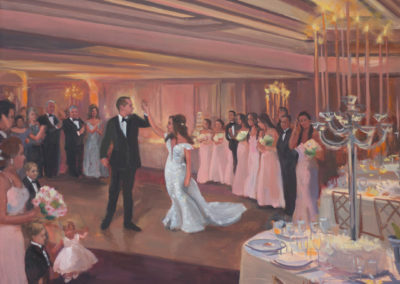 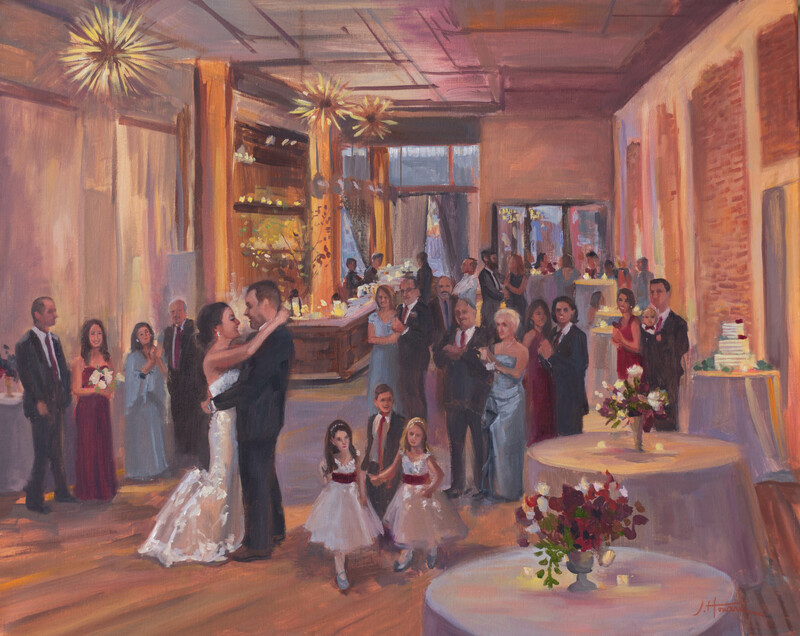 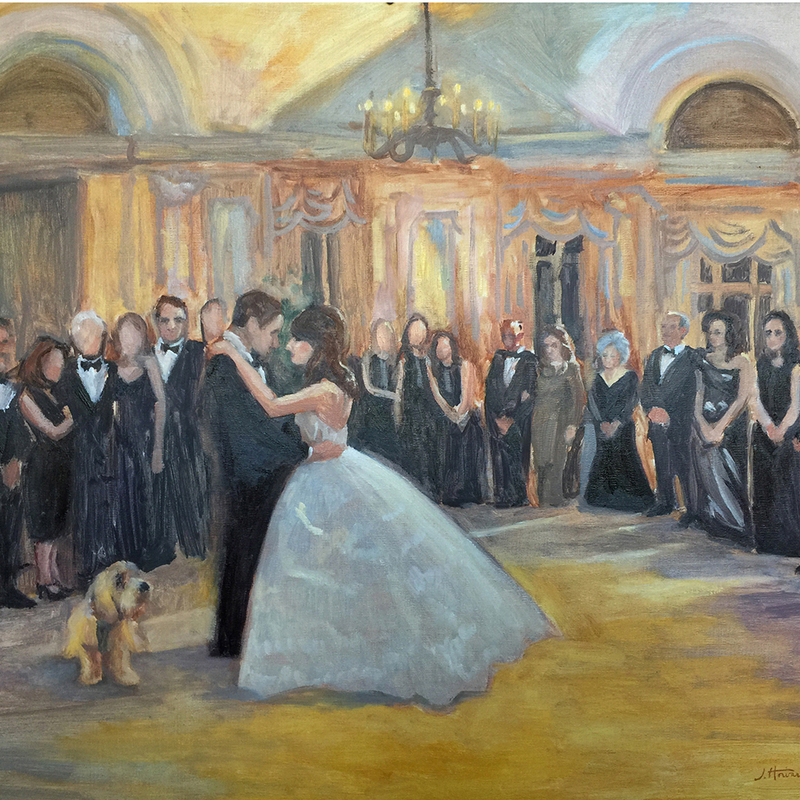 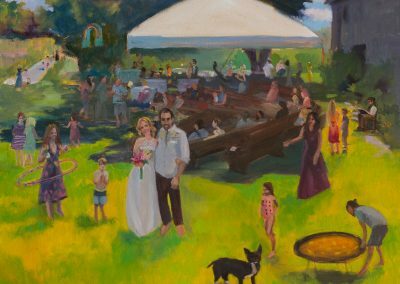 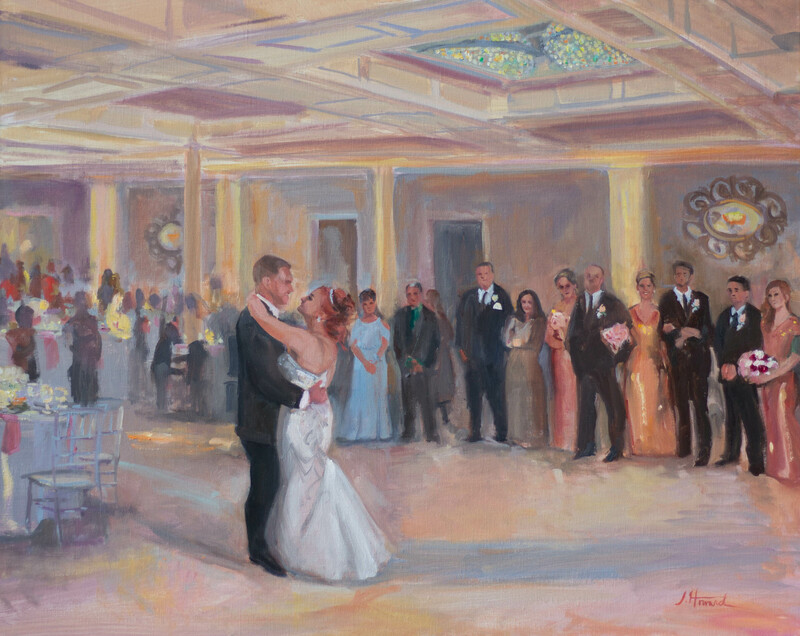 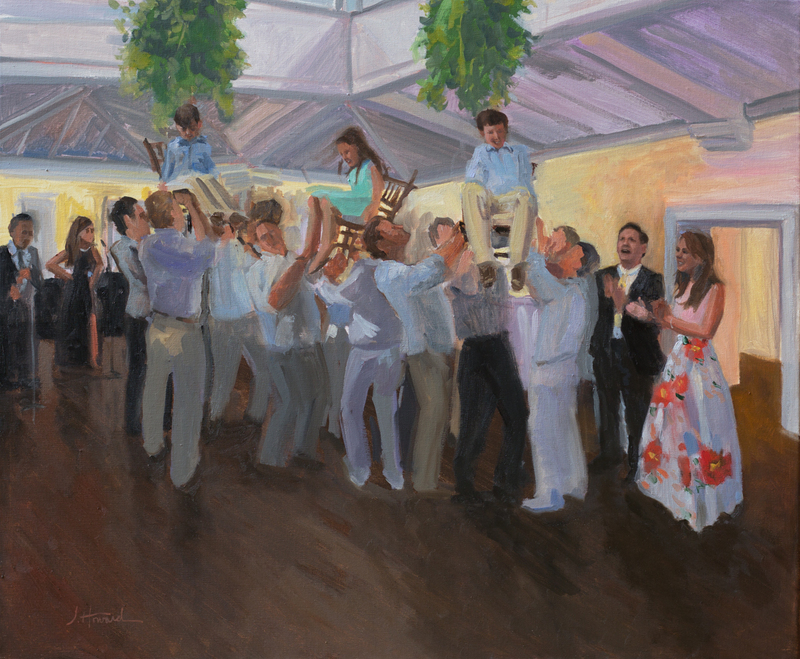 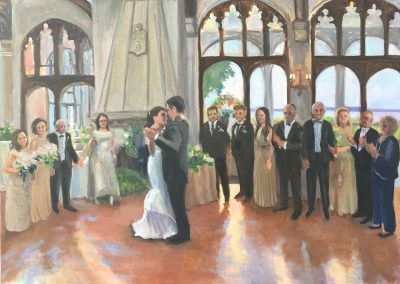 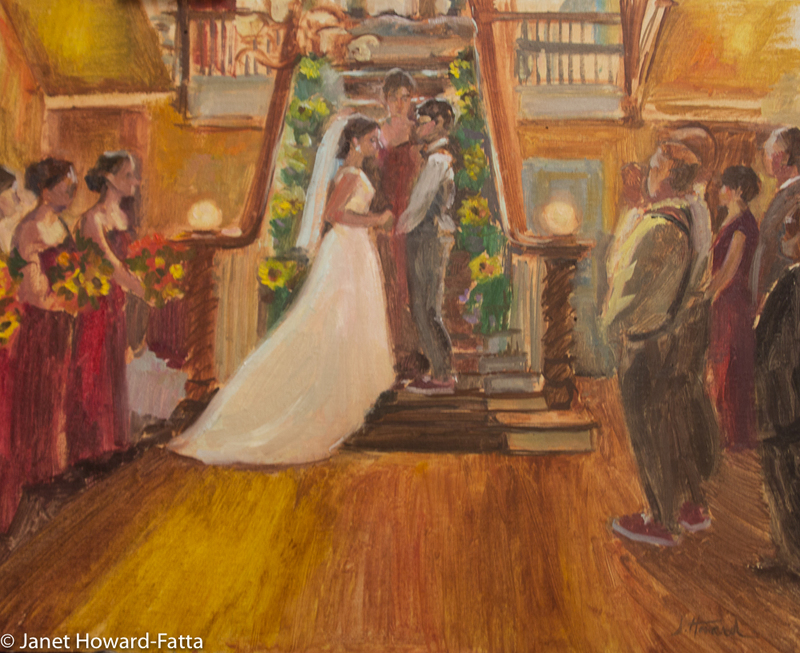 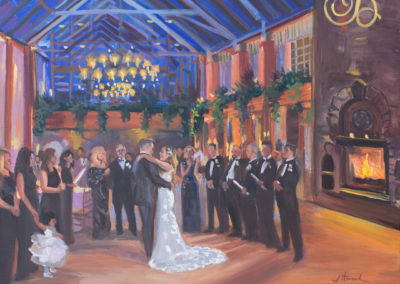 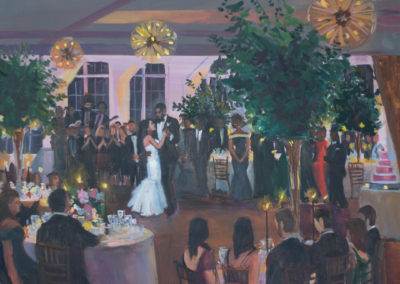 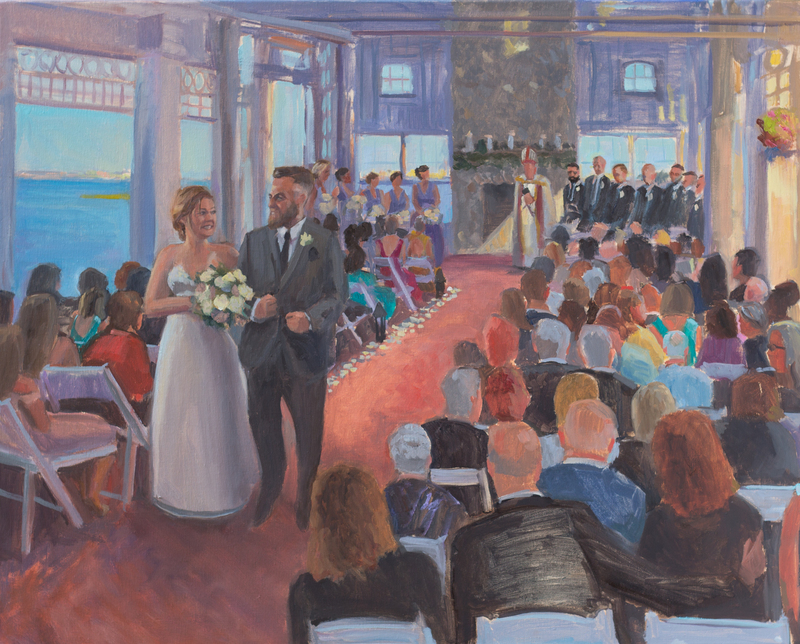 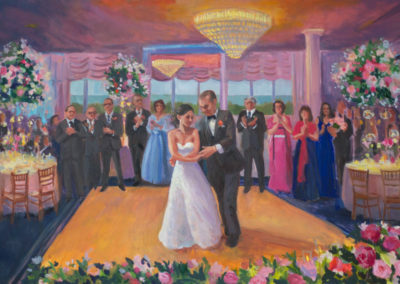 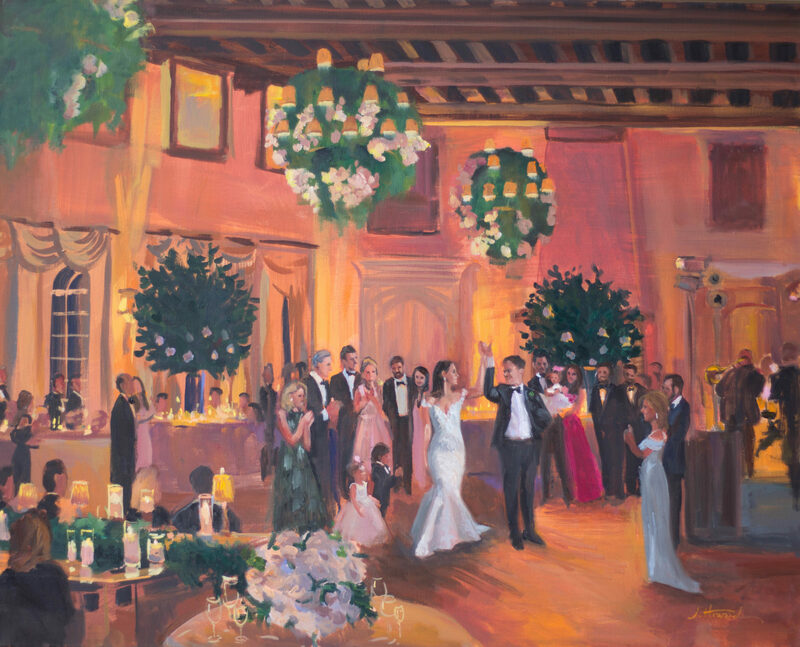 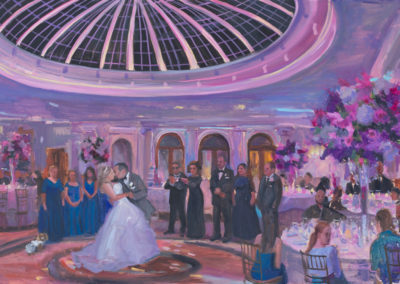 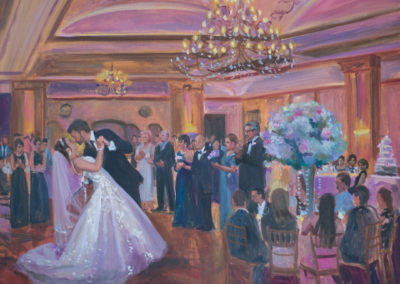 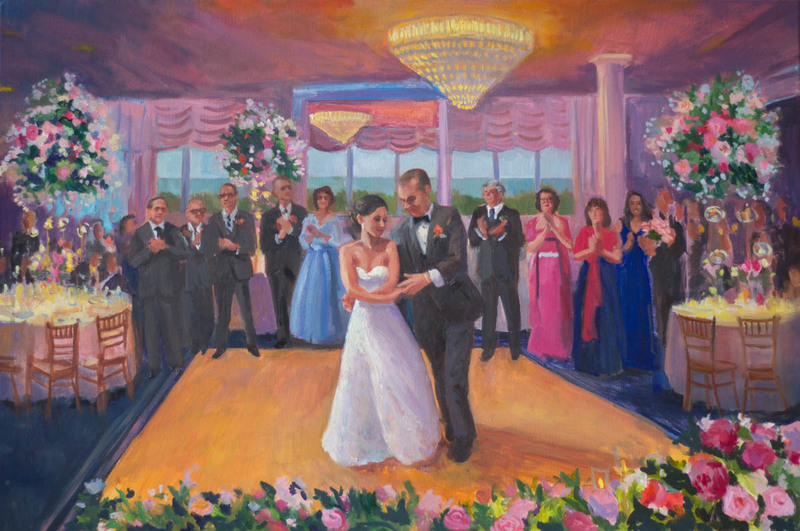 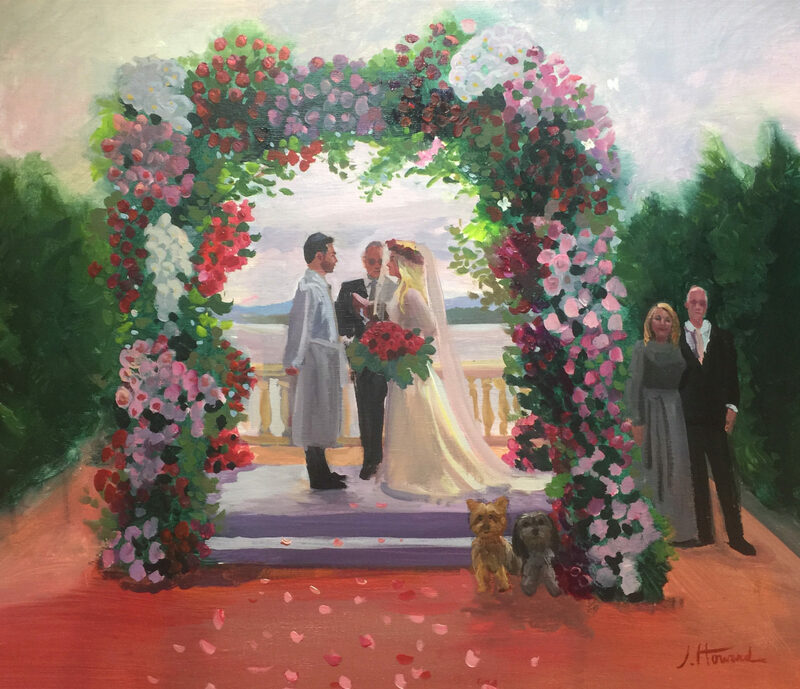 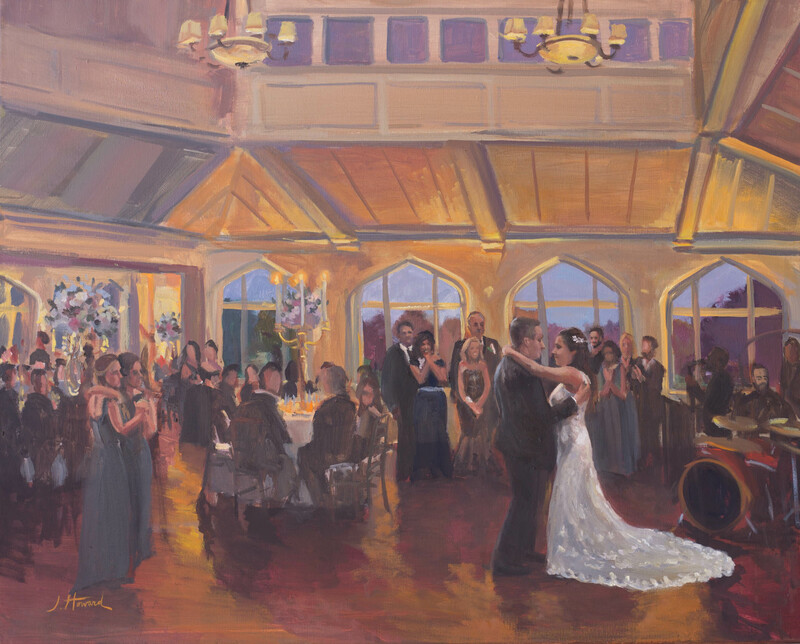 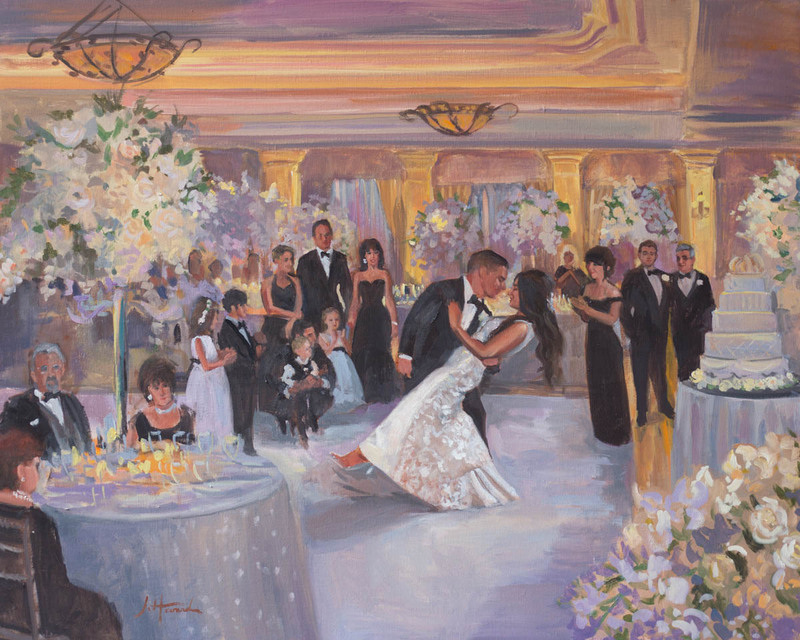 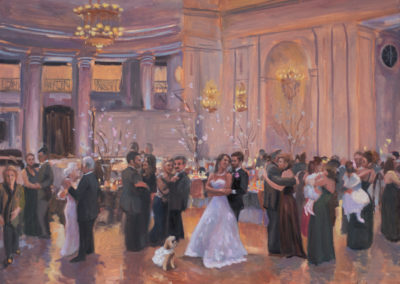 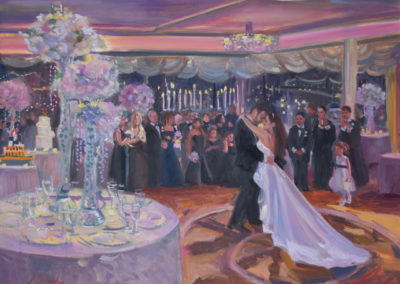 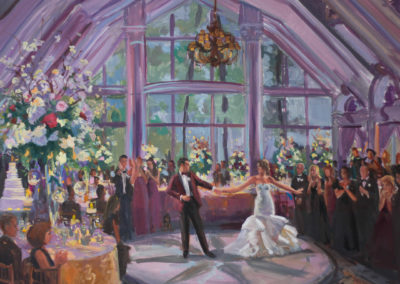 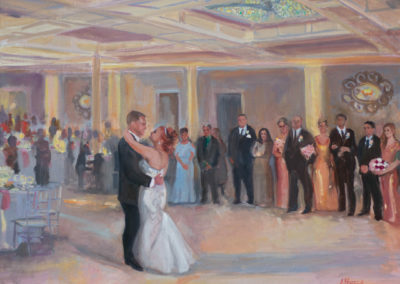 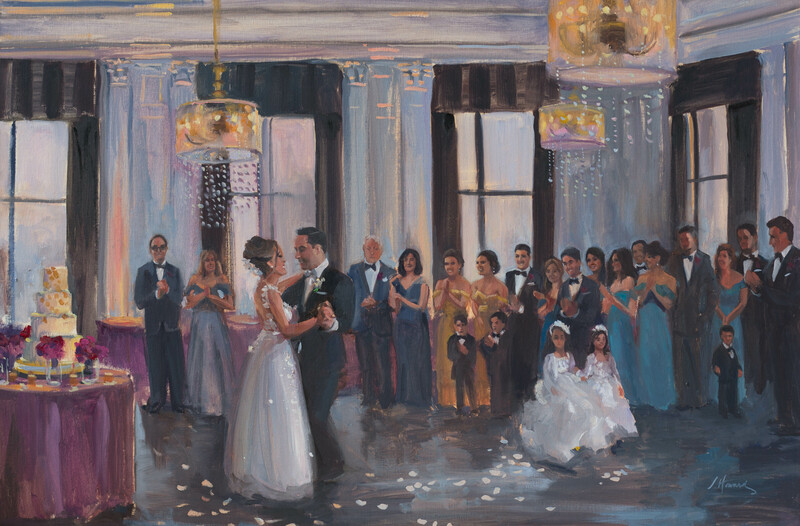 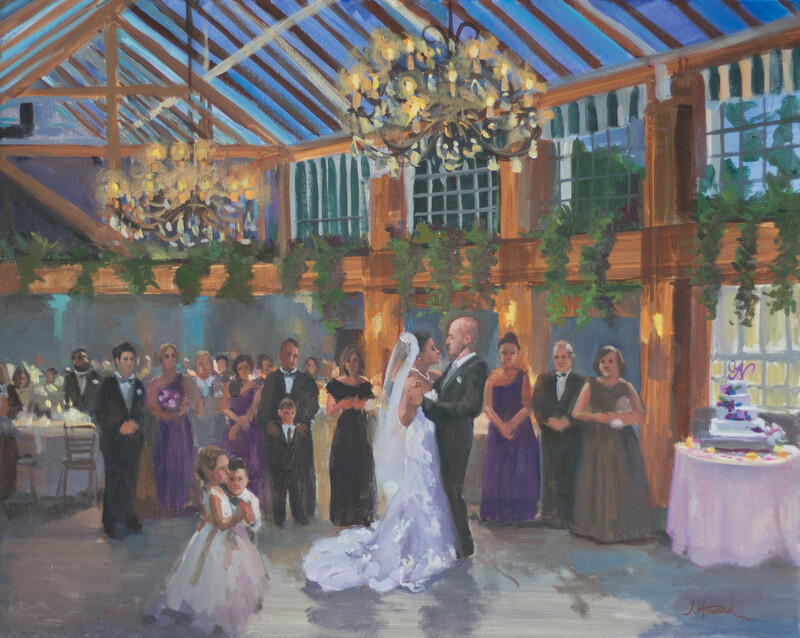 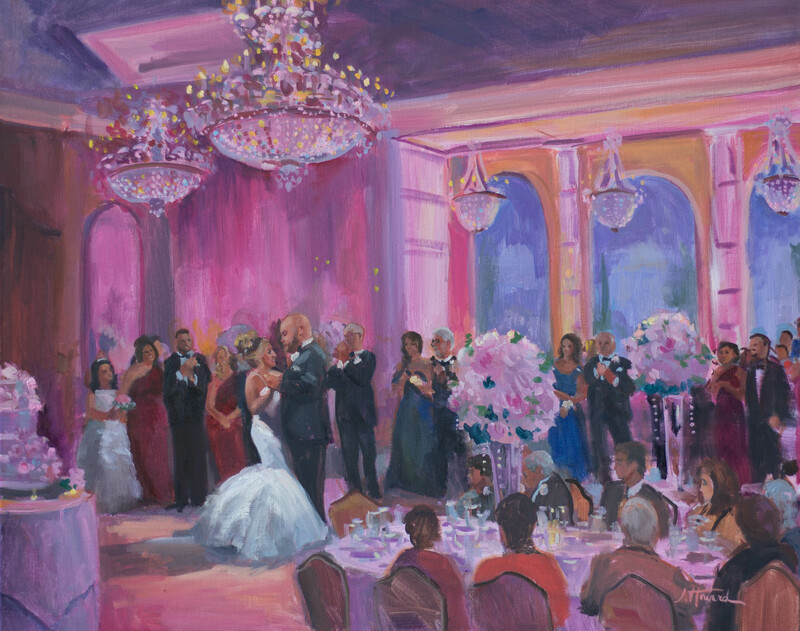 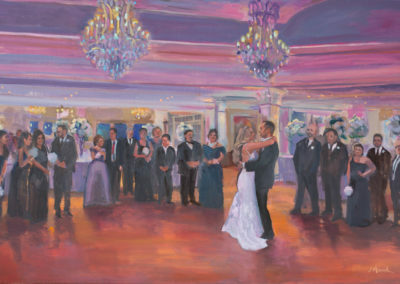 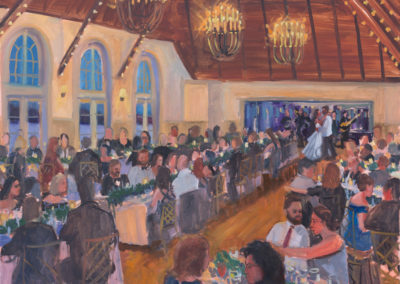 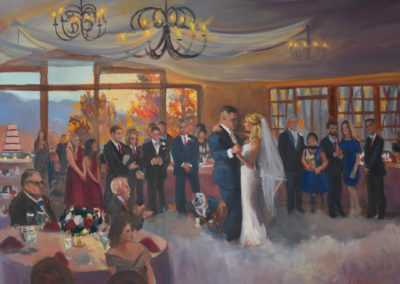 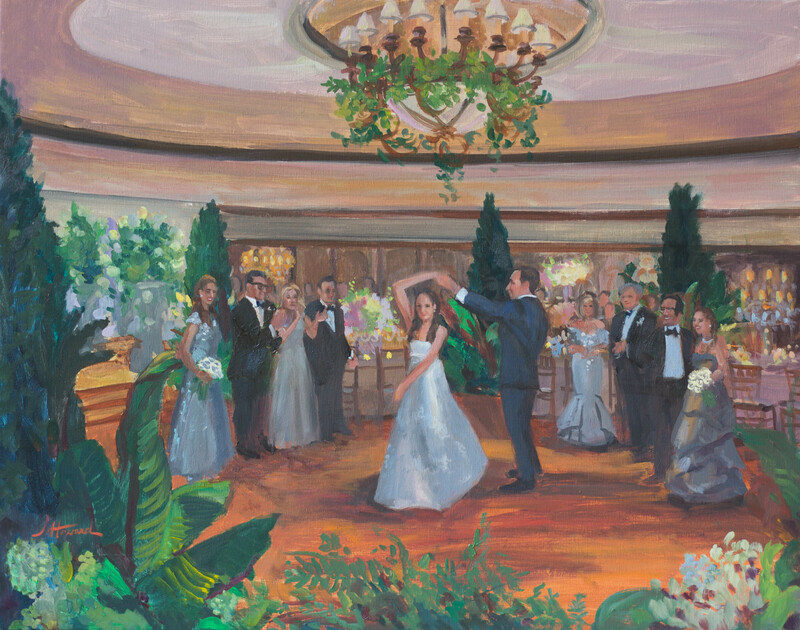 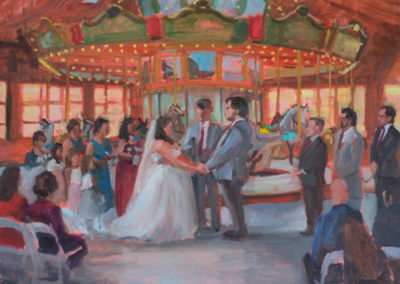 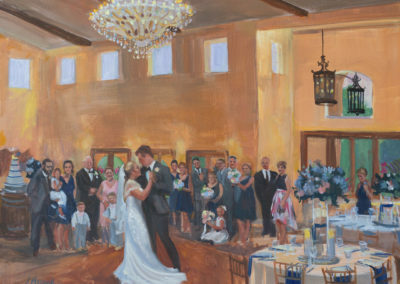 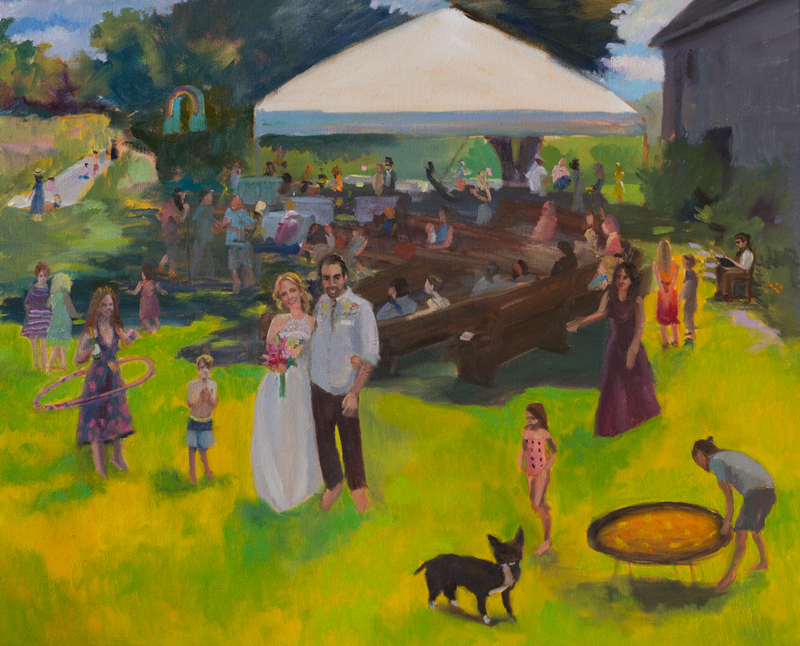 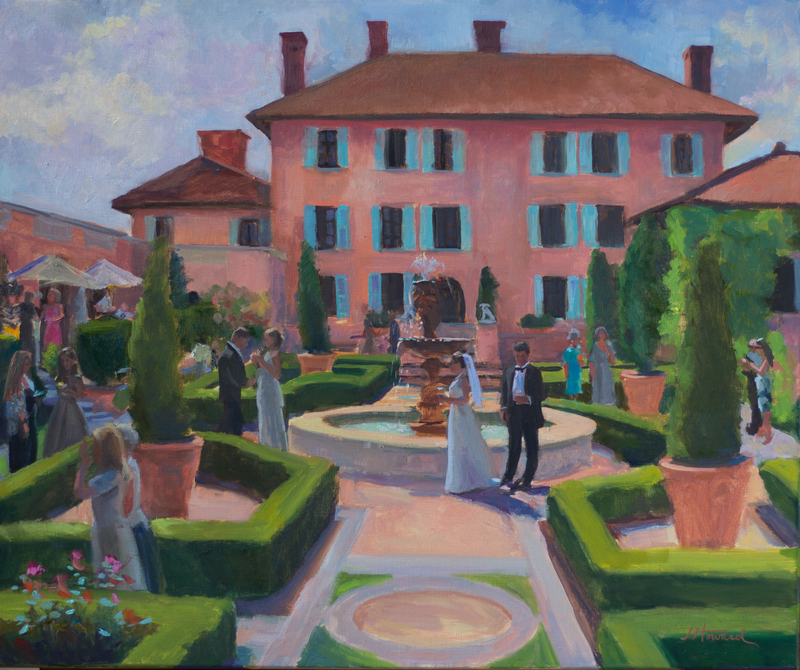 Amazing Chuppah!, this is my only all acrylic – done that night – painting that I have done! 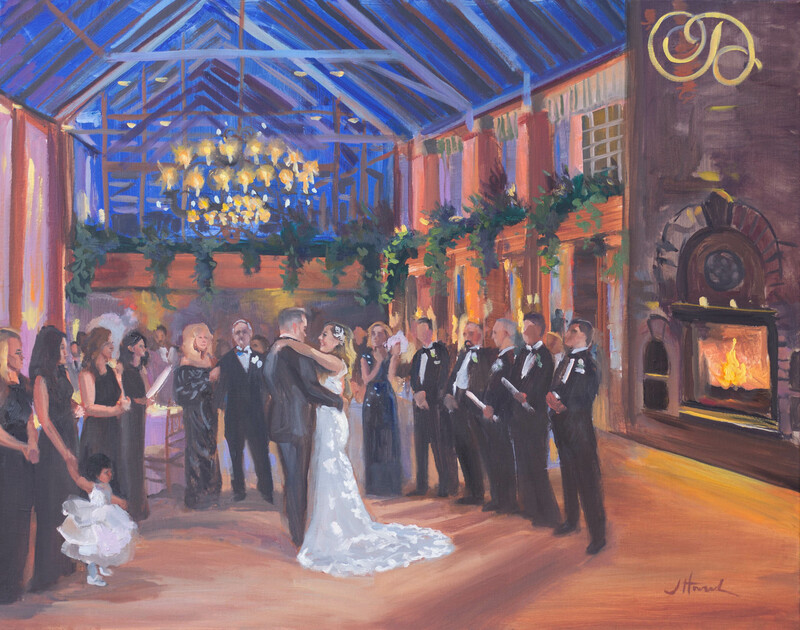 I love the fireplace glow and night sky in this one. 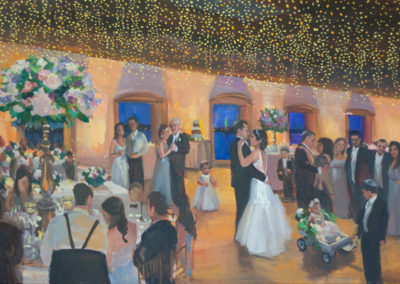 Please include the date and location of your event in your message!